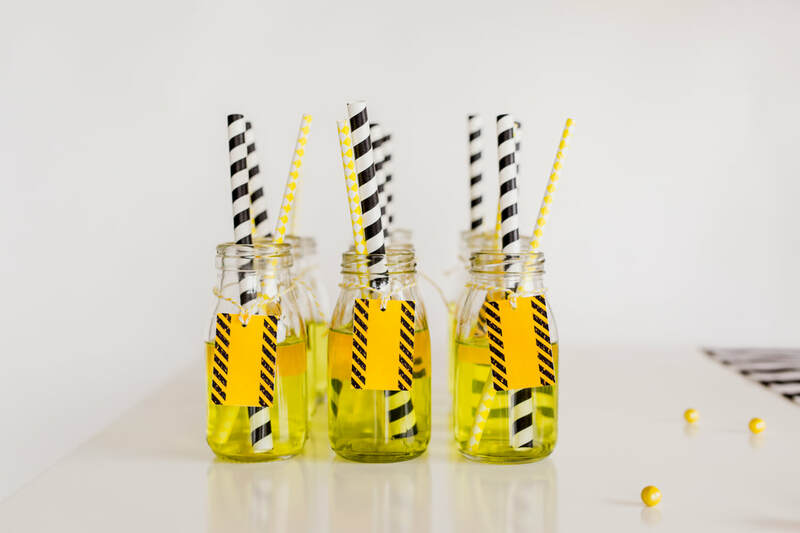 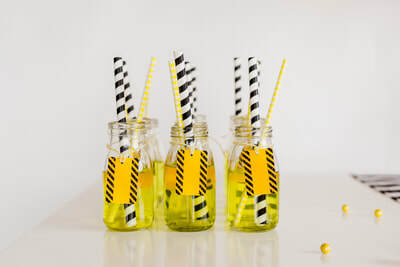 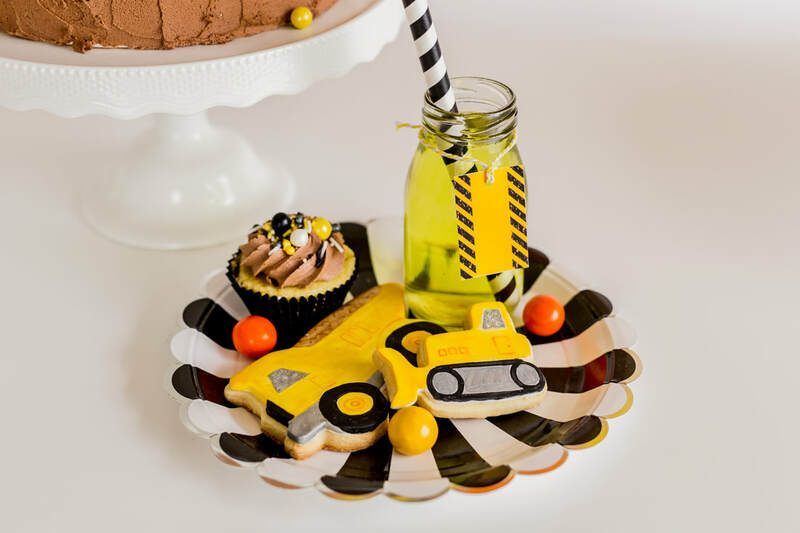 The Construction Zone themed party package is for boys and girls that love getting their hands dirty and keep their rooms messy! 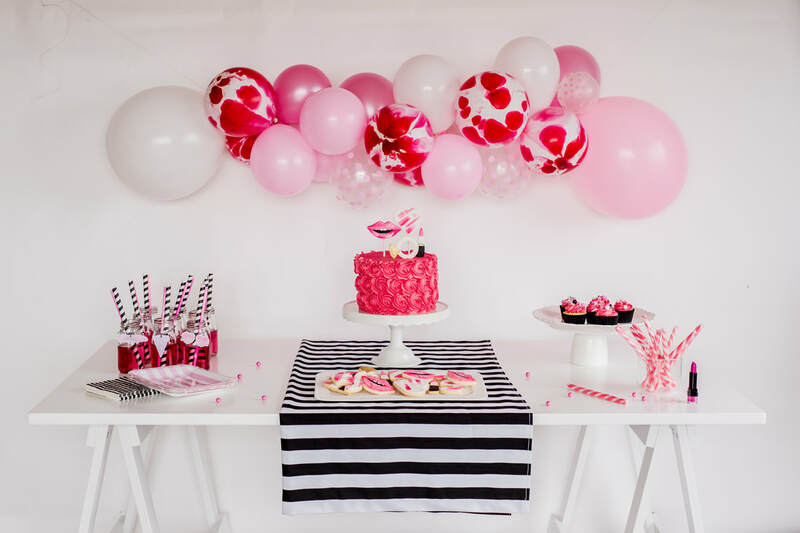 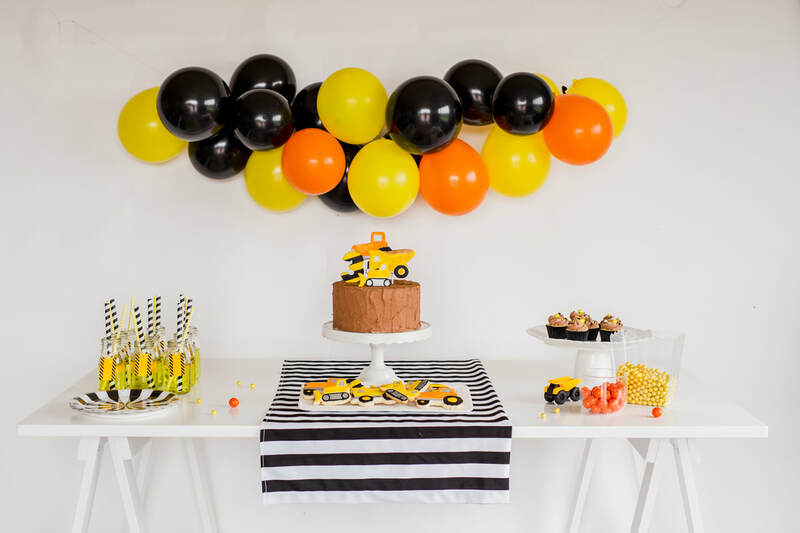 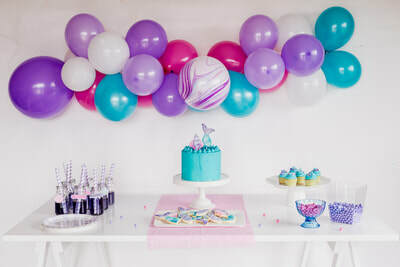 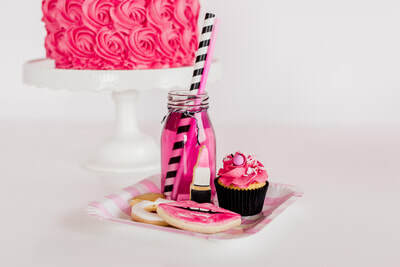 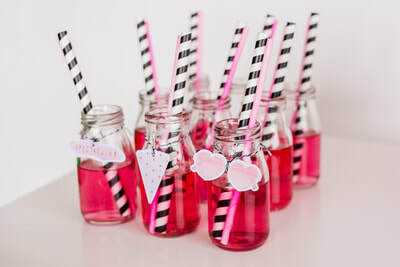 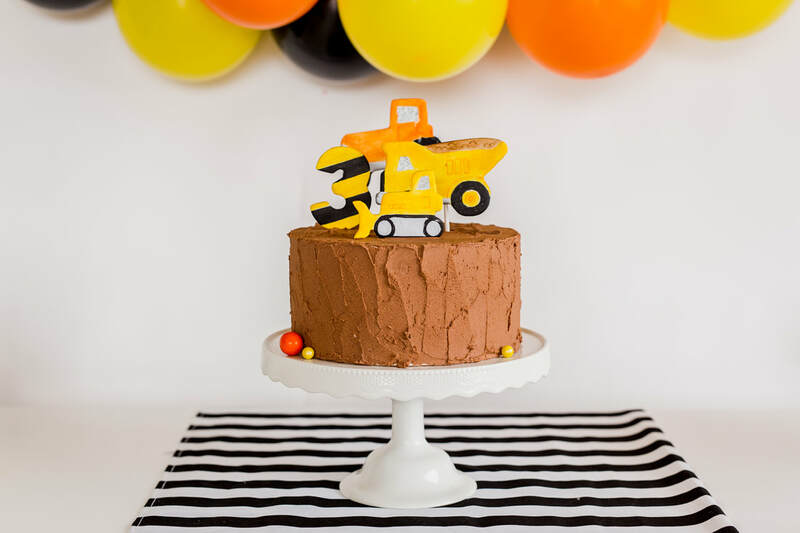 The Construction Party can fit many birthday/celebration themes Diggers, Trucks, Under Construction, Bob The Builder, Lego City just to name a few. 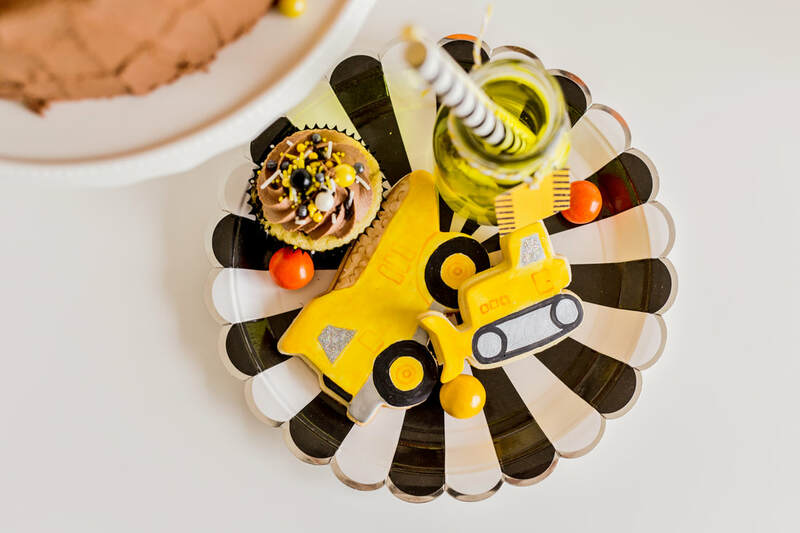 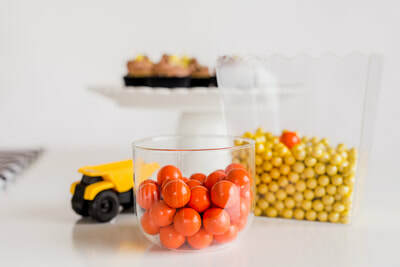 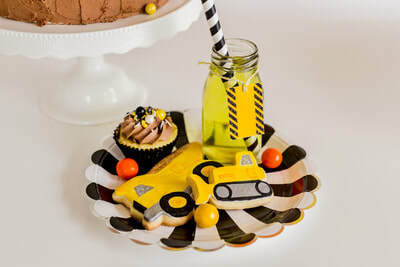 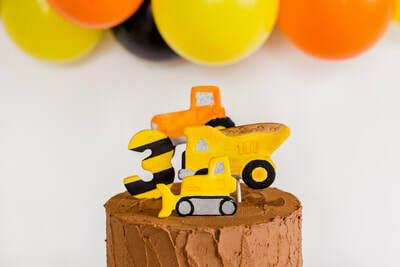 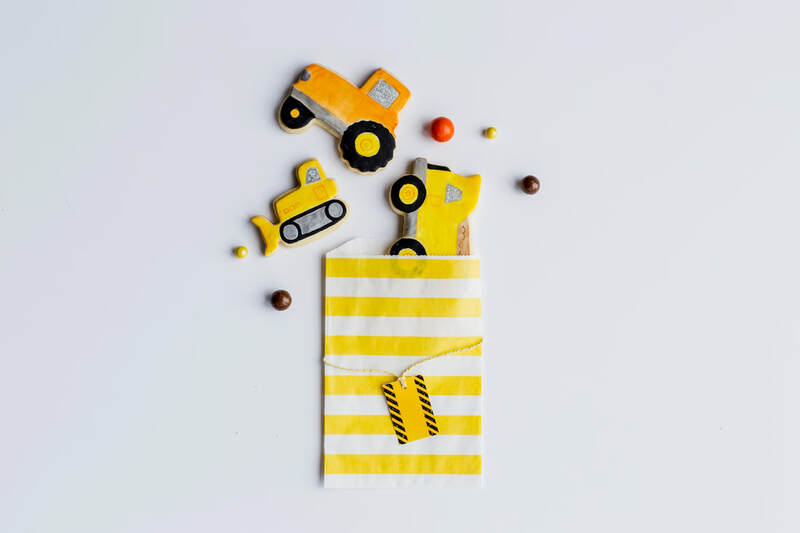 The Construction Party package comes with a rustic chocolate buttercream cake, adorned with edible Dumptruck, Tractor and bulldozer hand painted cake toppers made out of sugar paste. 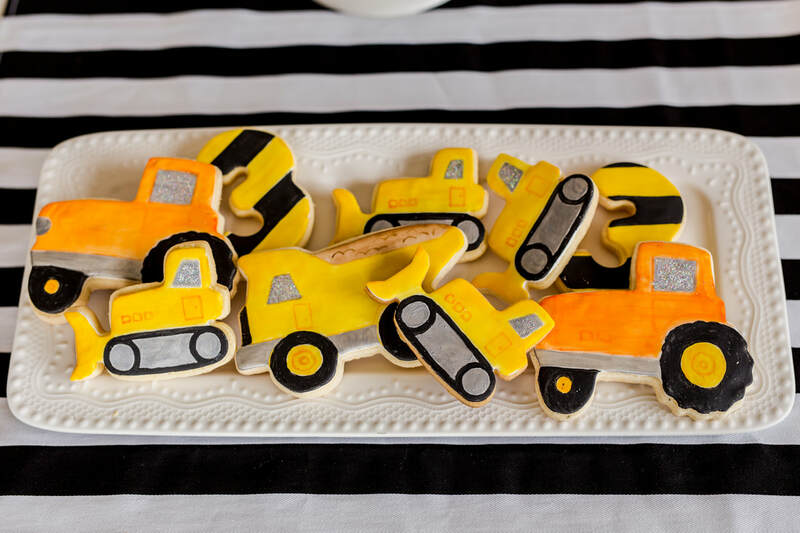 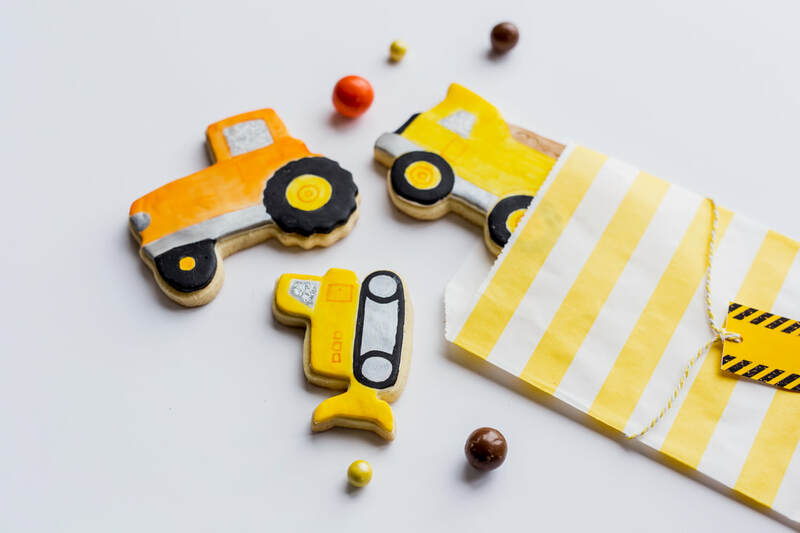 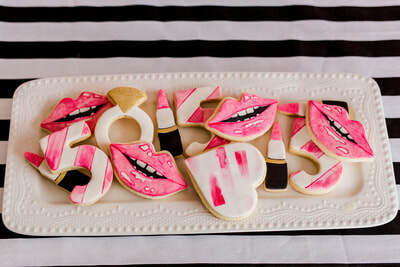 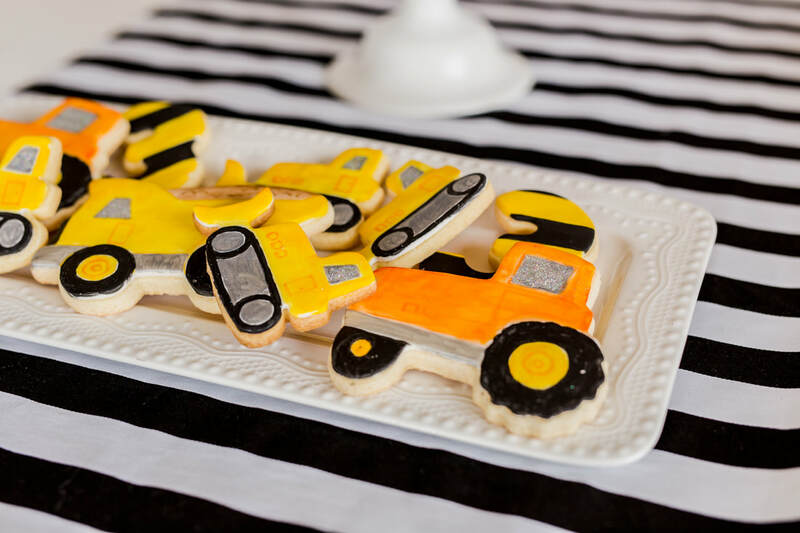 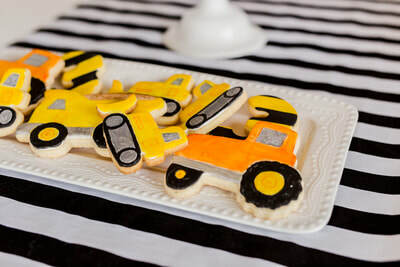 Hand-painted sugar cookies from bright orange tractors to mighty dump trucks, and cool bulldozers. 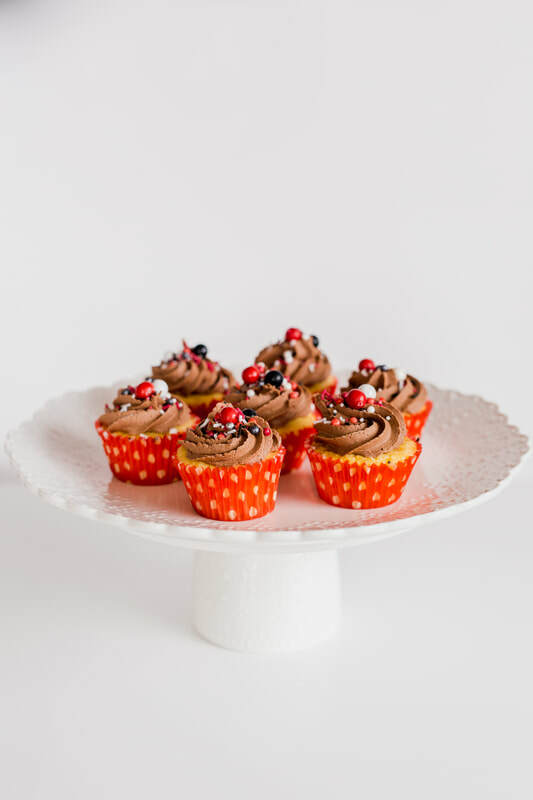 Cupcakes piped with a rustic choccy buttercream and topped with construction coloured sprinkles! My toddler is obsessed with all things construction, he cannot get enough of diggers, what is it with boys and diggers haha !!?? Enchanted, Glitter, Disney just to name a few. 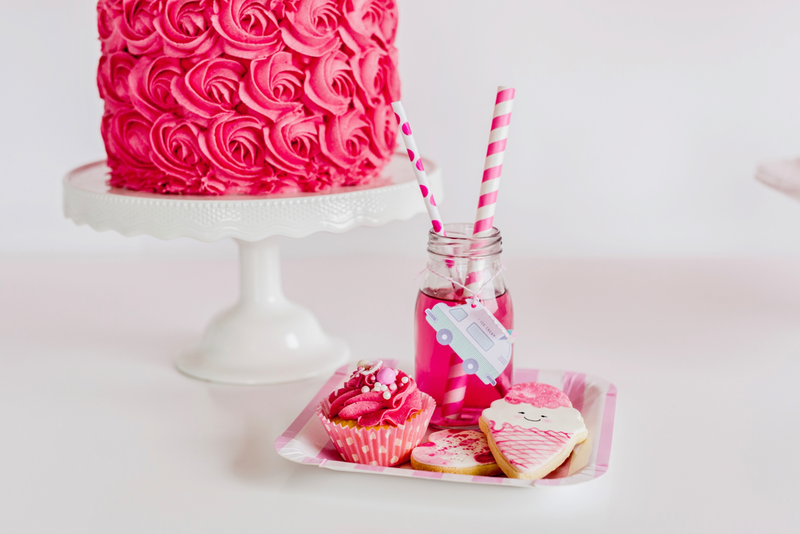 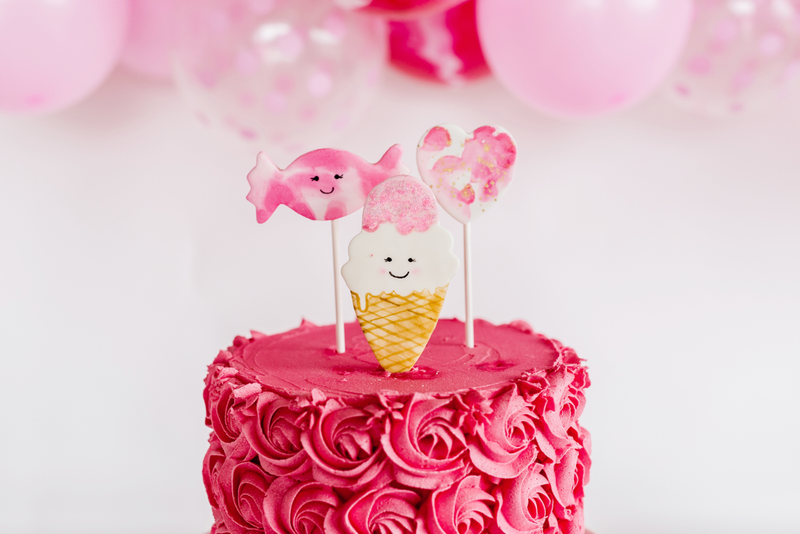 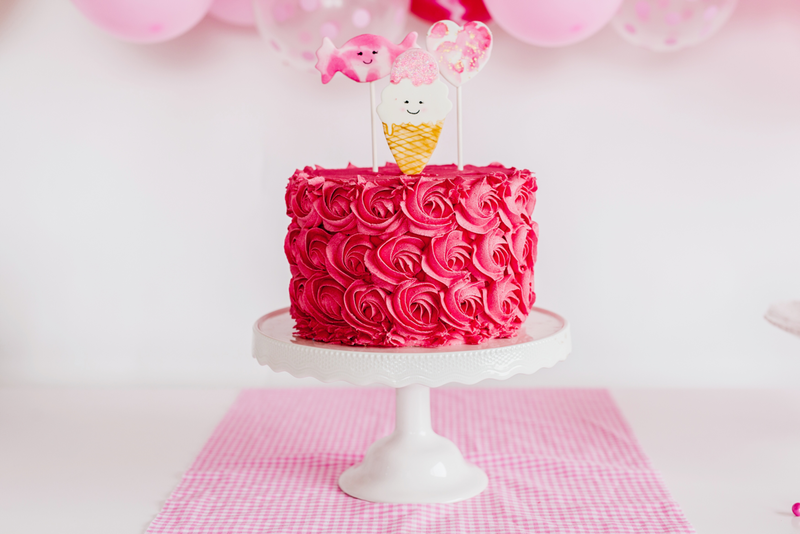 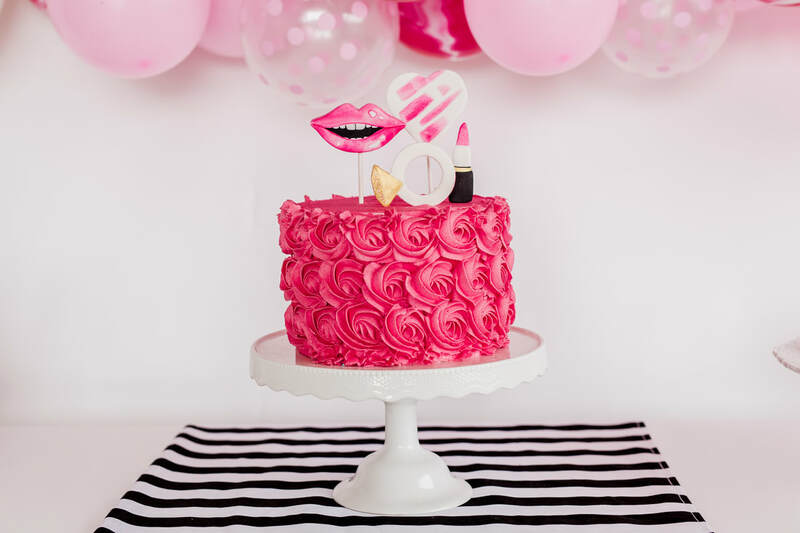 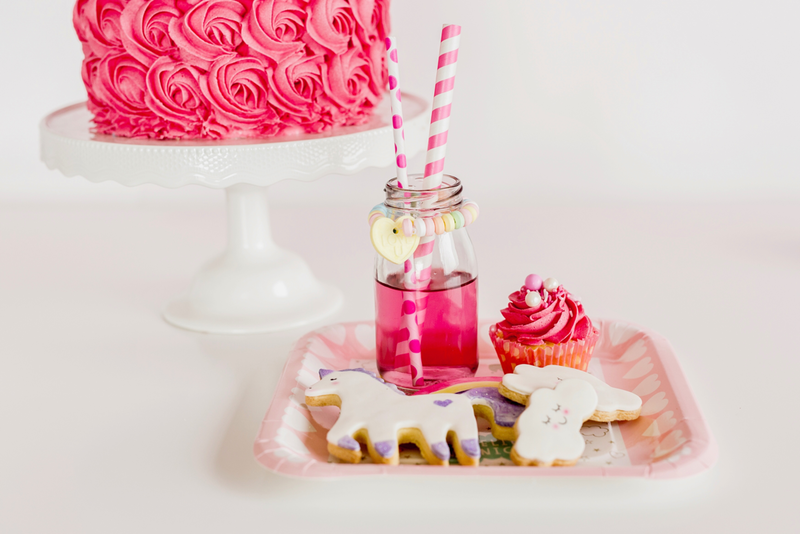 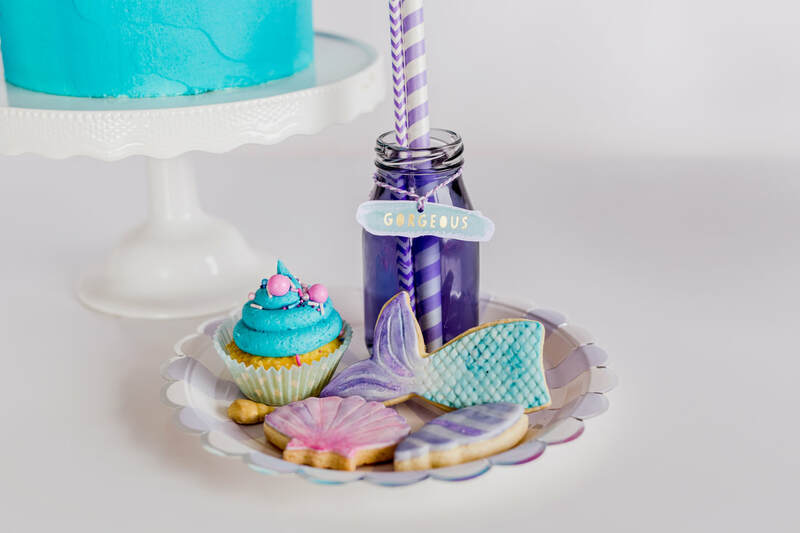 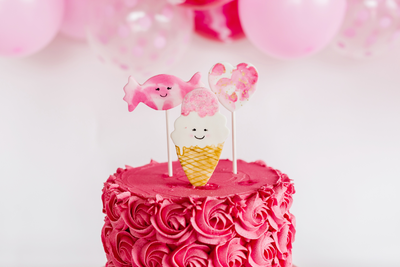 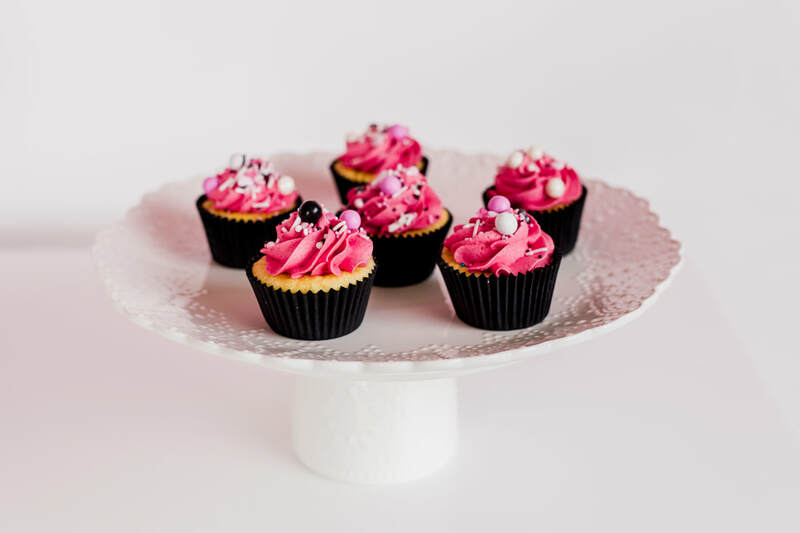 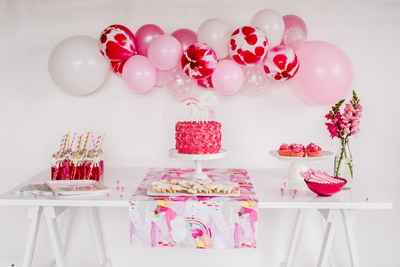 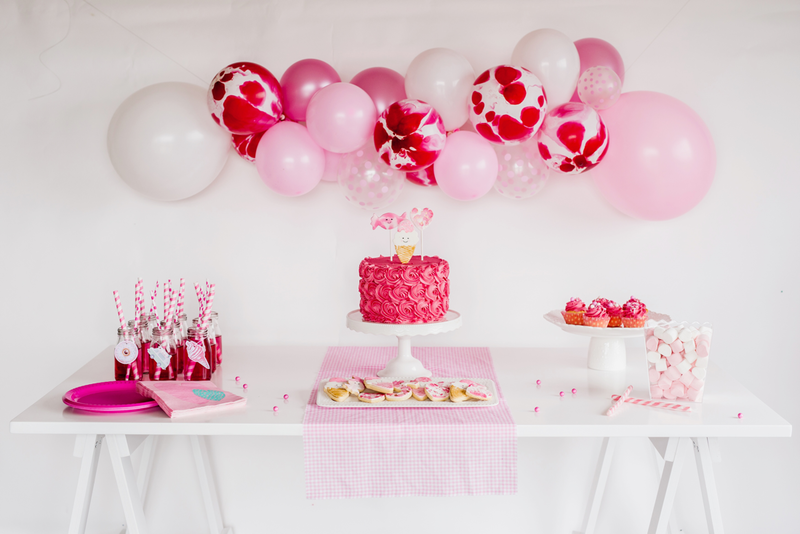 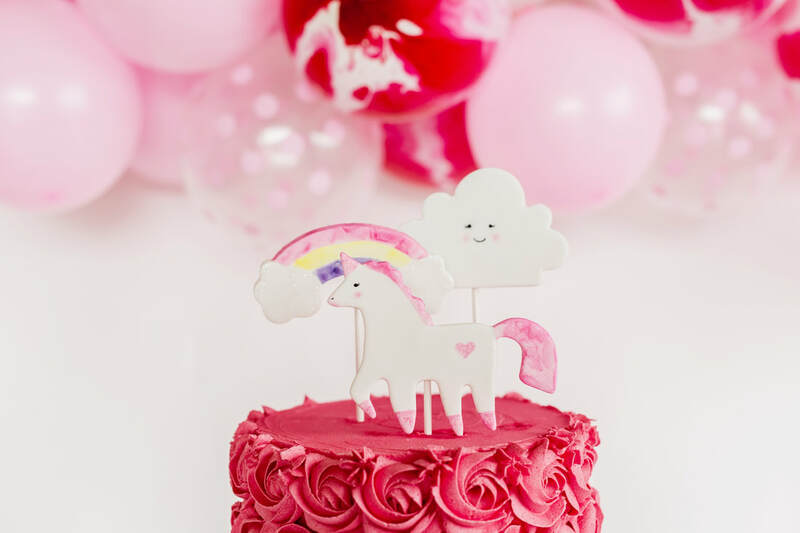 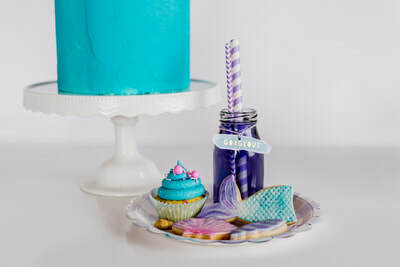 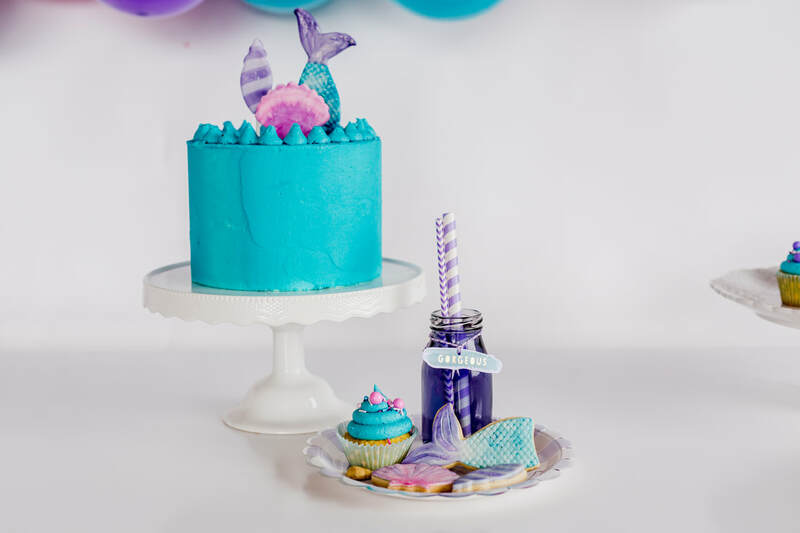 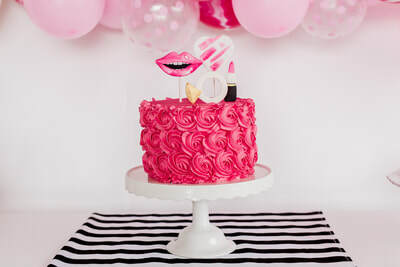 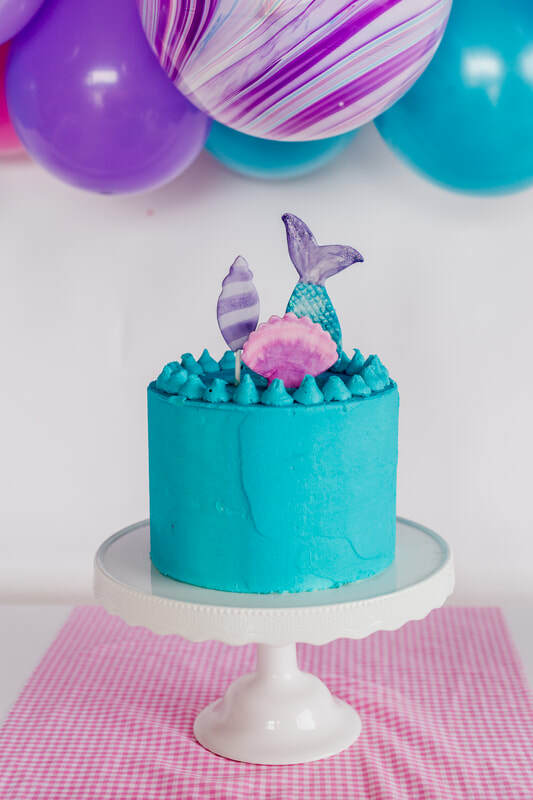 The Unicorn party package comes with a beautiful pink rosette-piped buttercream cake, adorned with hand painted cake toppers made out of sugar paste. 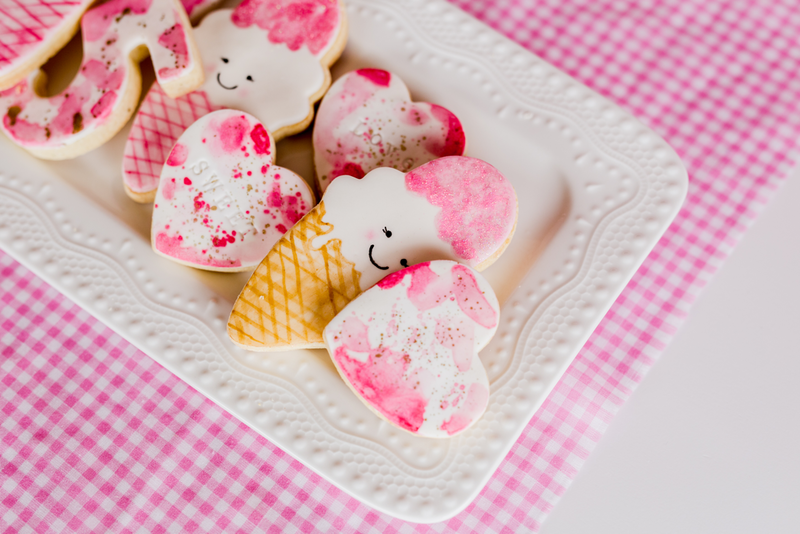 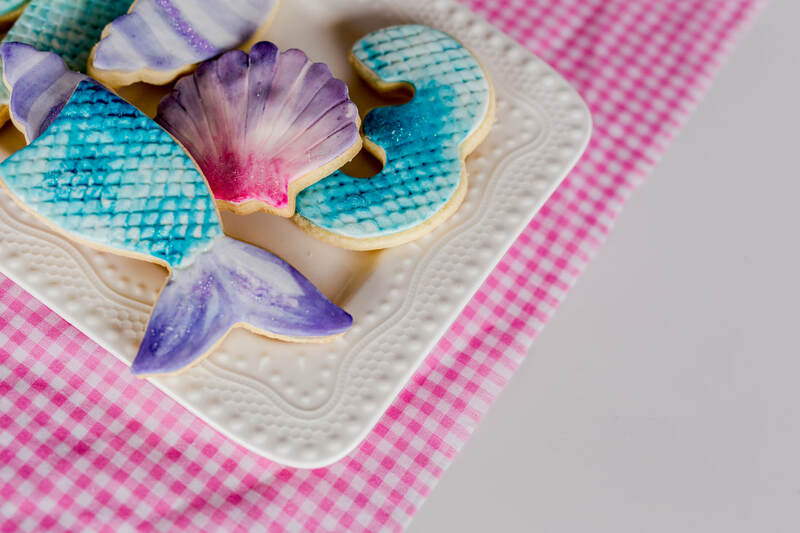 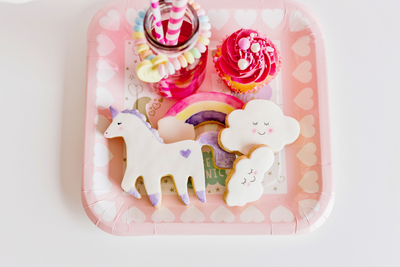 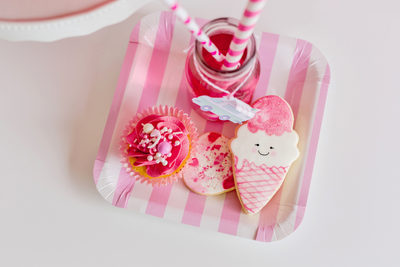 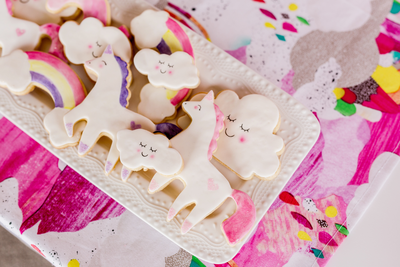 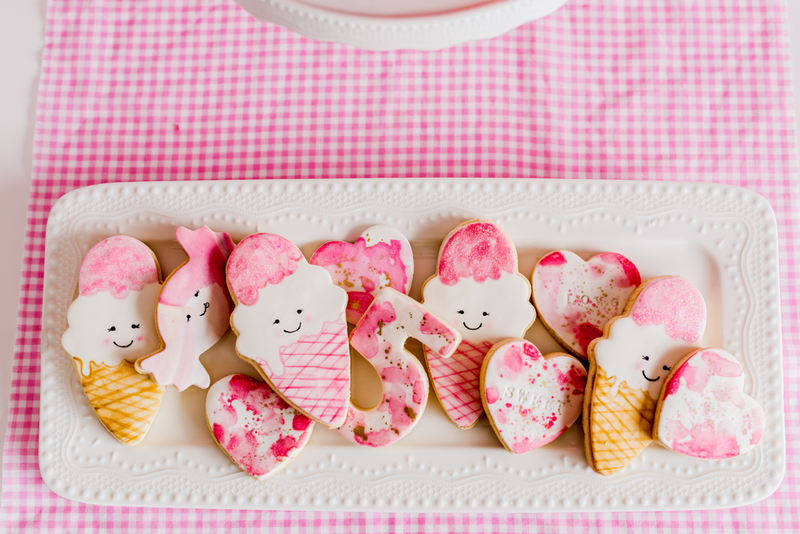 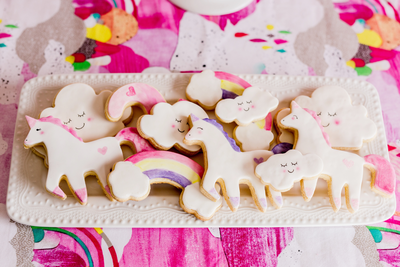 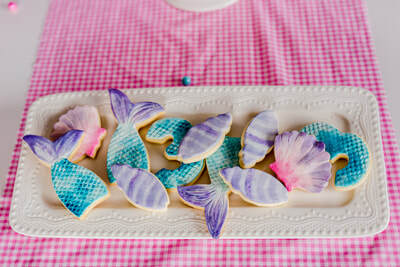 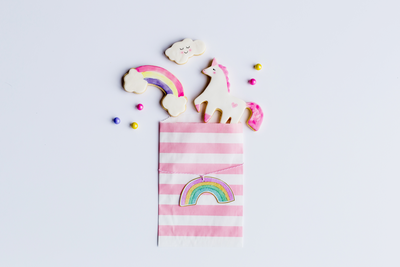 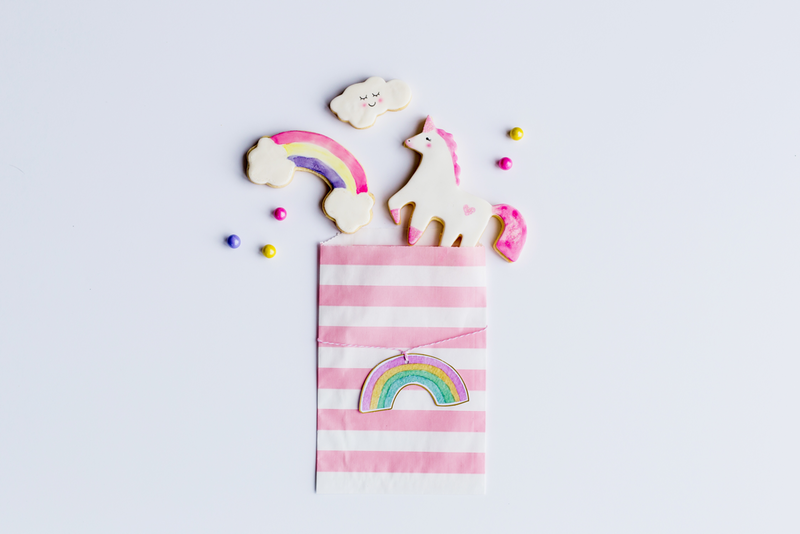 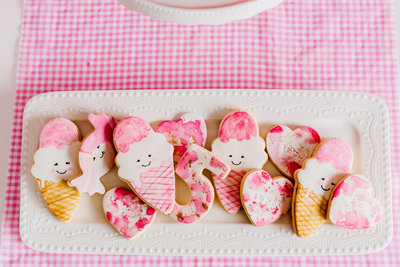 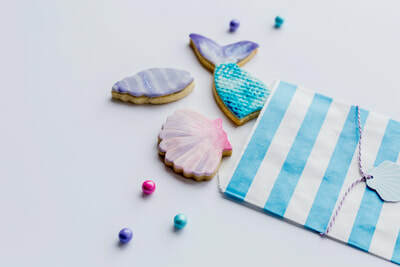 Hand-painted sugar cookies from pretty glittered Unicorns to happy faced clouds, and sweet rainbows. 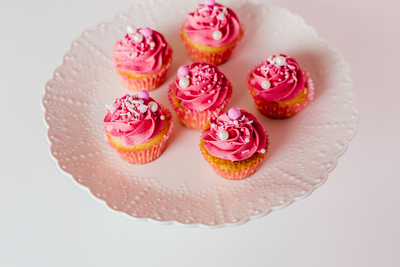 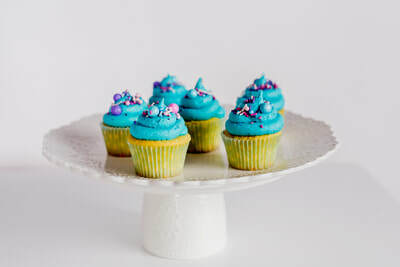 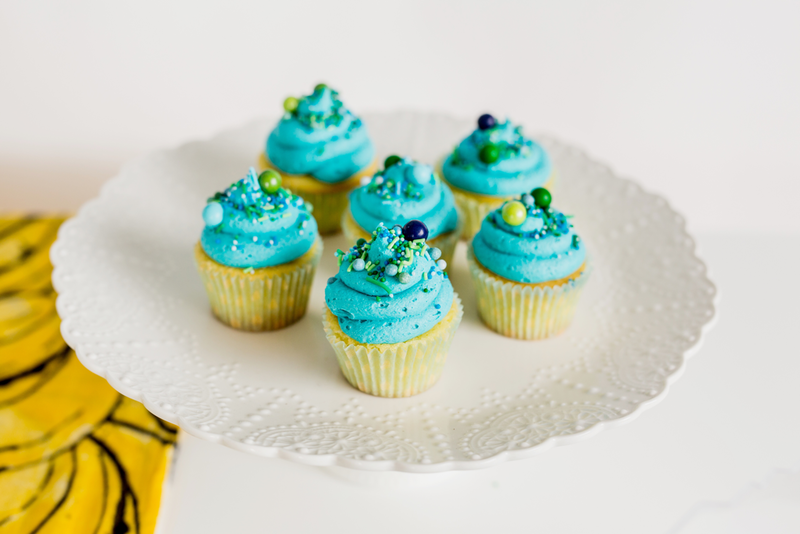 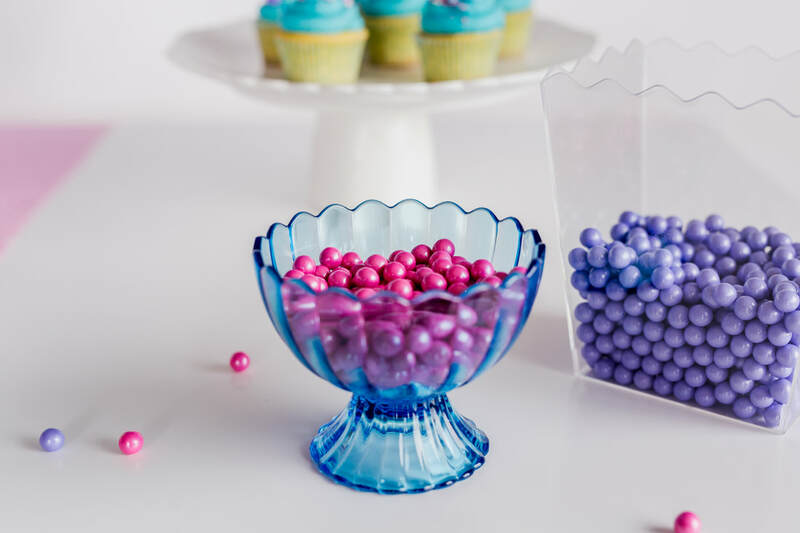 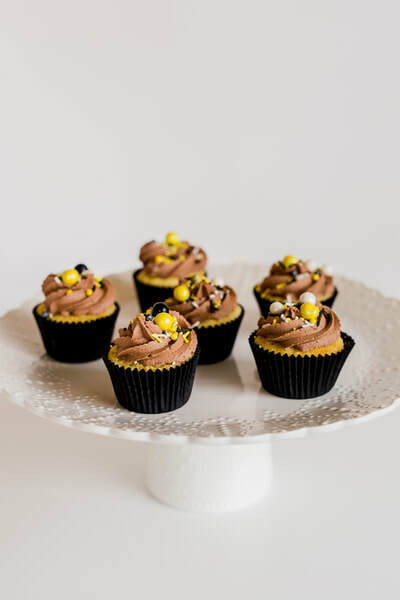 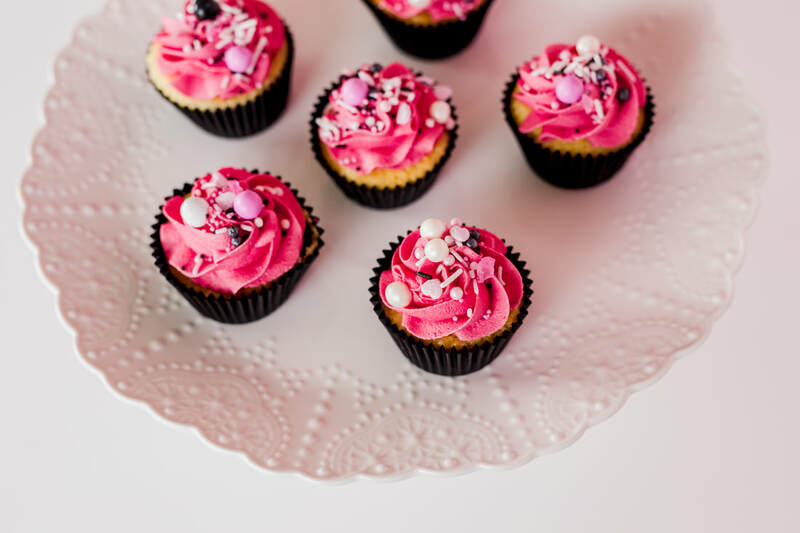 Cupcakes are piped with buttercream and topped with the prettiest coloured unicorn sprinkles! 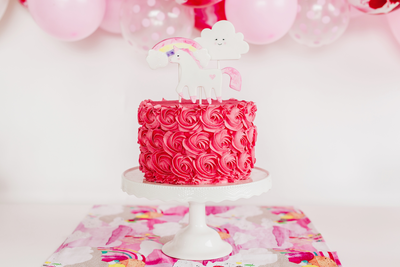 Unicorns are such a favourite right now, these mythical creatures capture hearts of all ages. 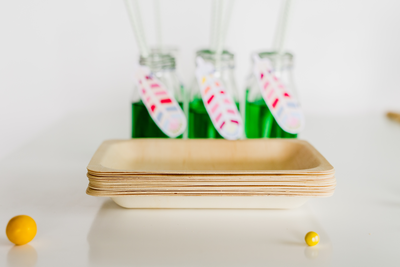 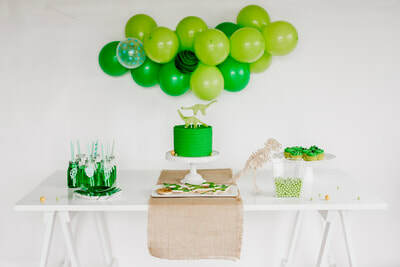 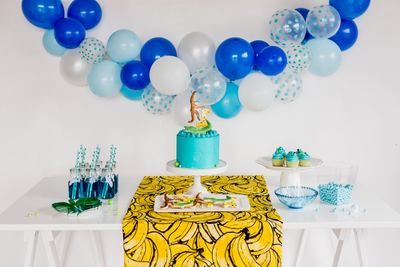 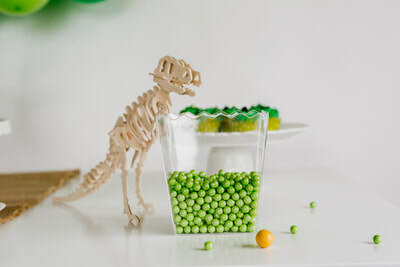 The Dinosaur Rawr themed party package is perfect for boys and girls who love to dive back into a land before time. 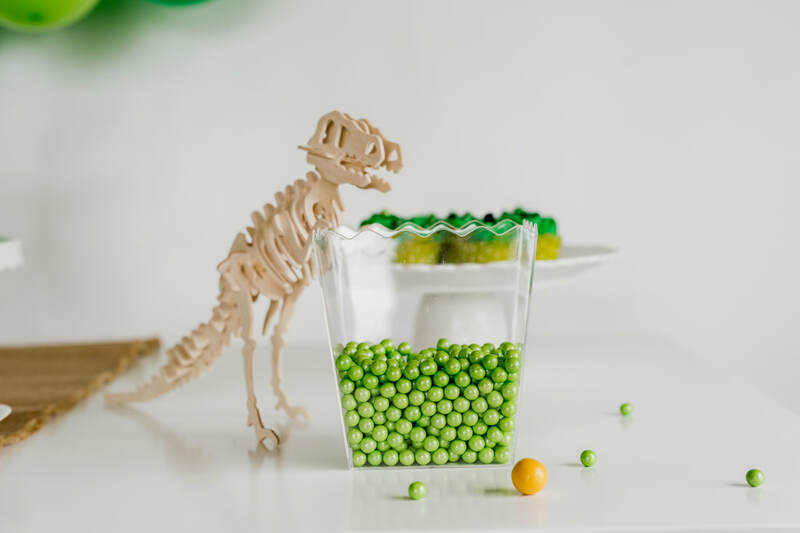 The Dinosaur Rawr package can fit many birthday/celebration themes Dinosaur, Jarassic Park, Bed-Rock, Land Before Time, Ice Age to name just a few. 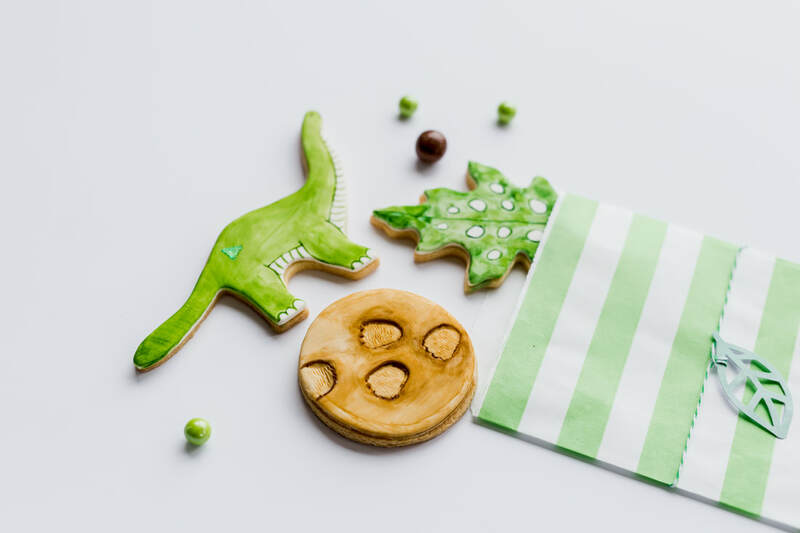 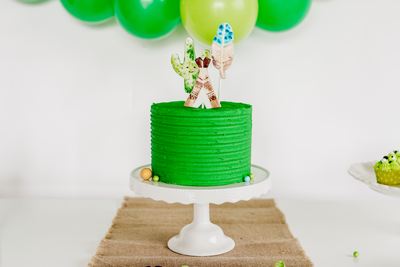 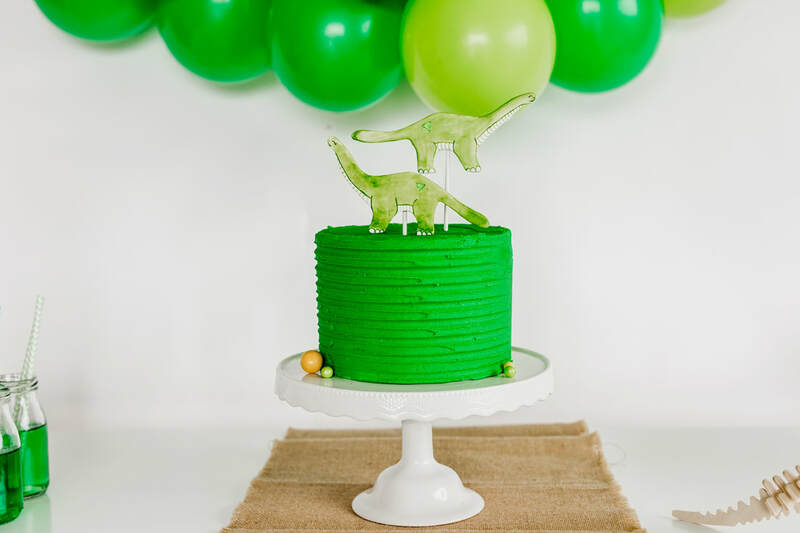 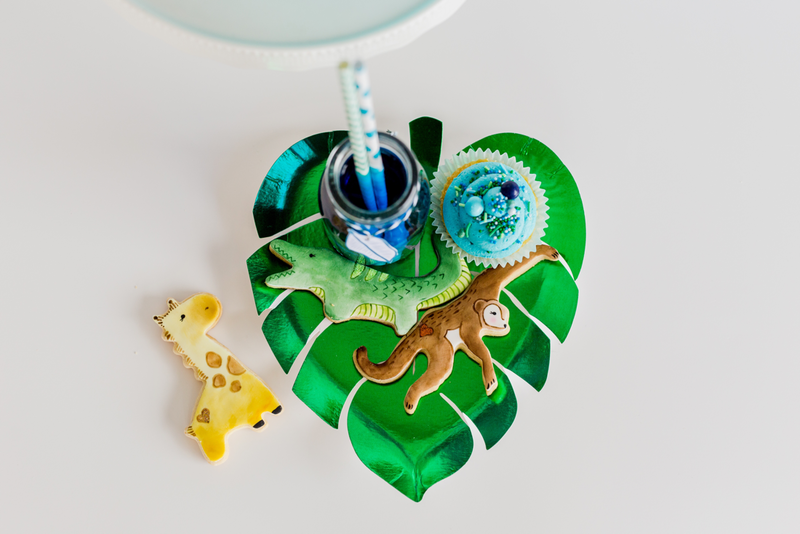 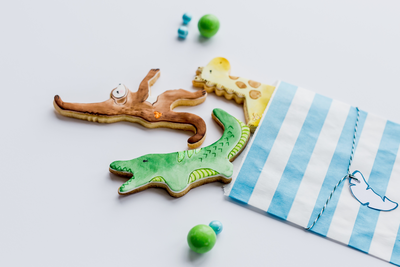 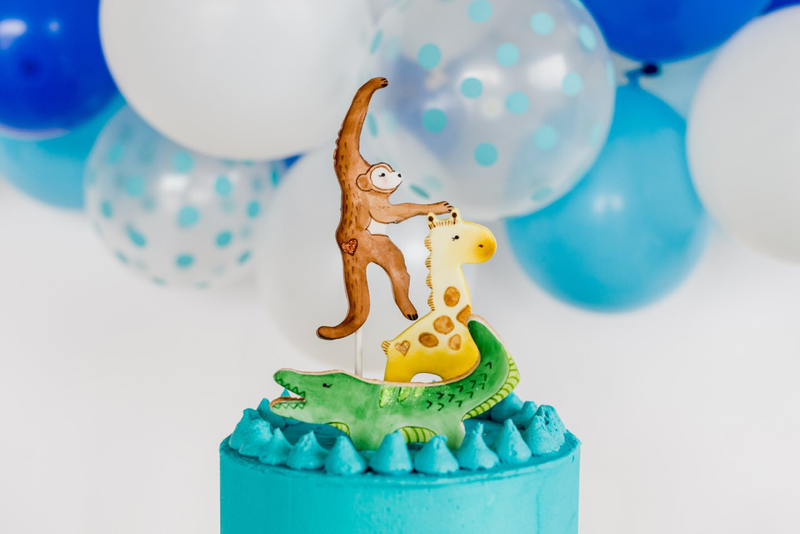 The Dinosaur Rawr party package comes with a beautiful smooth forest green covered buttercream cake, adorned with edible hand painted cake toppers, made out of sugar paste. 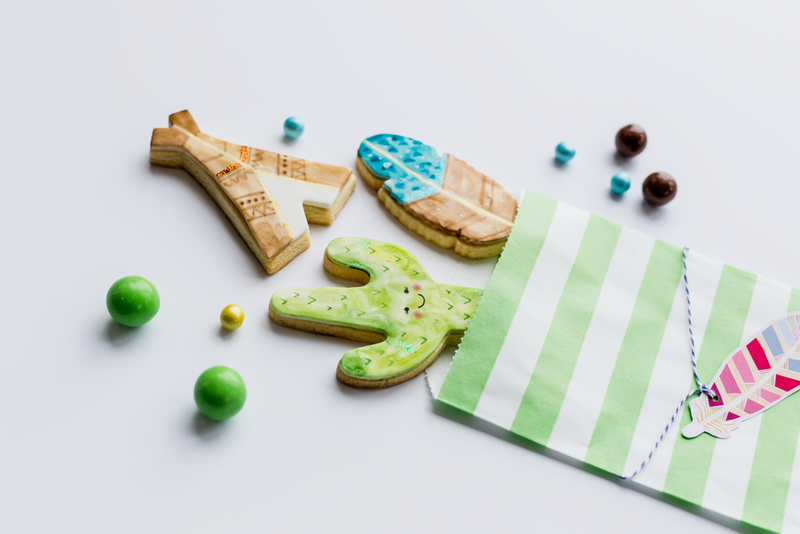 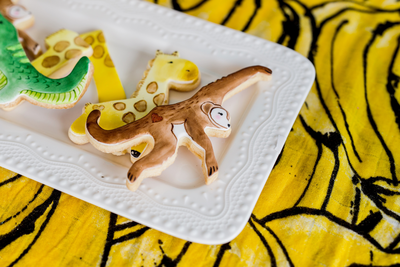 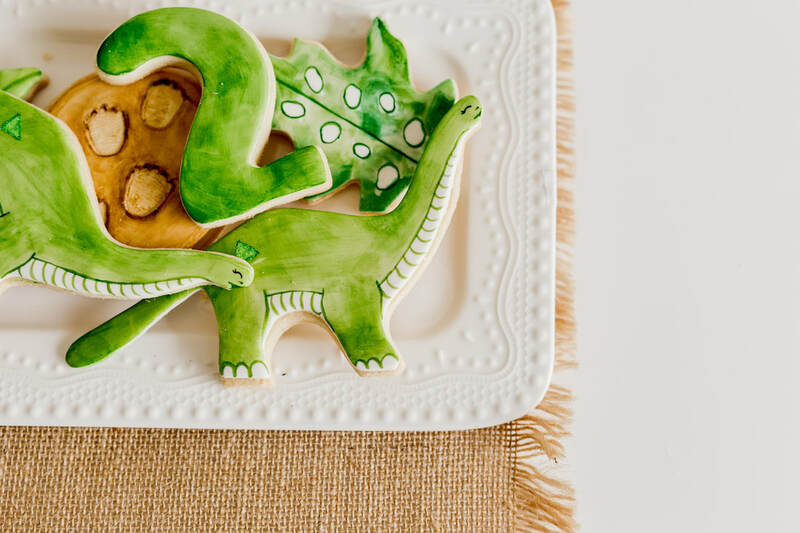 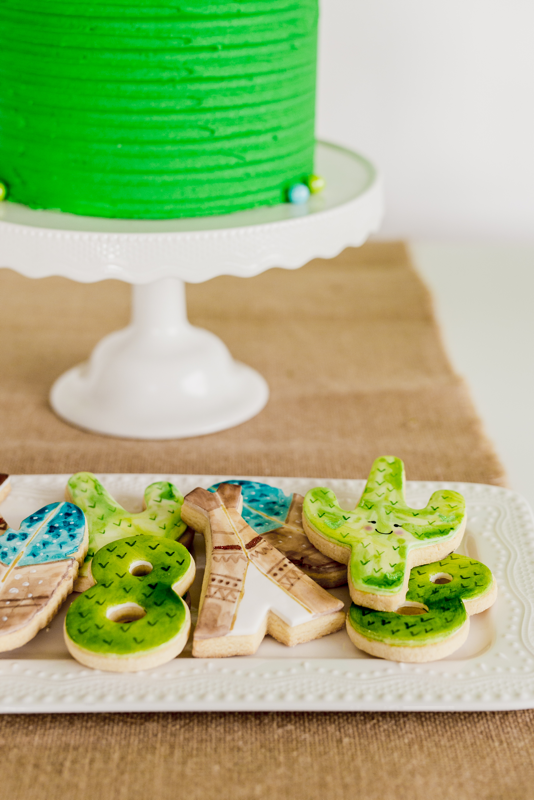 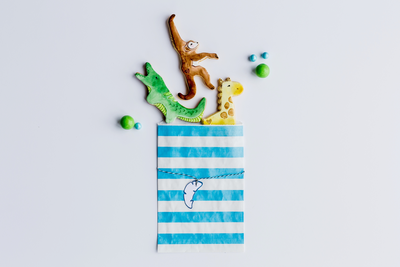 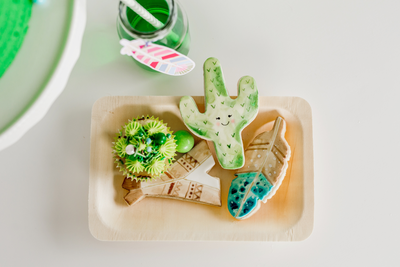 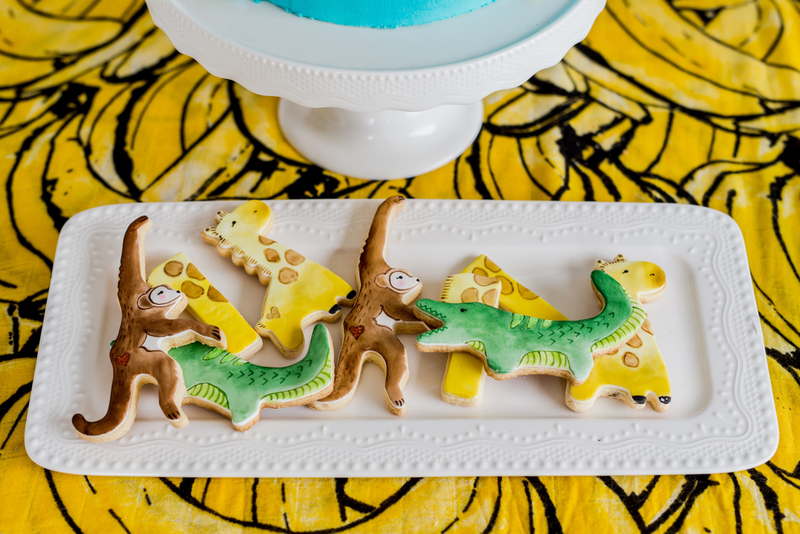 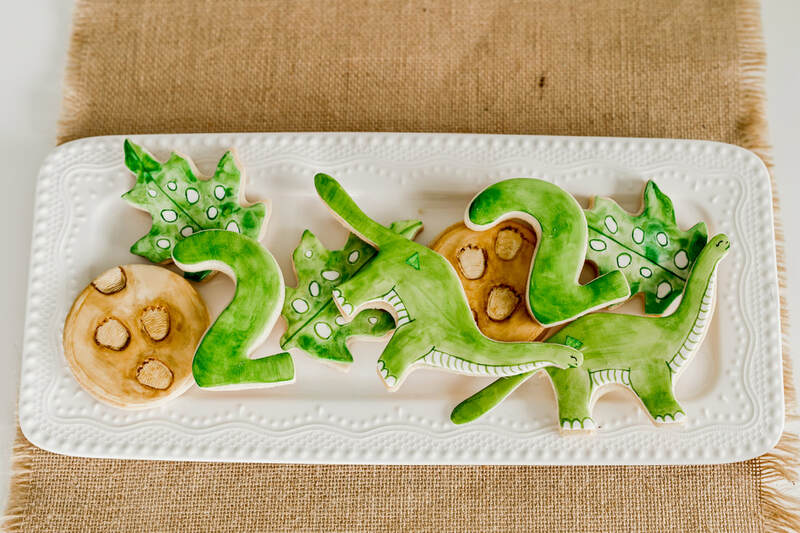 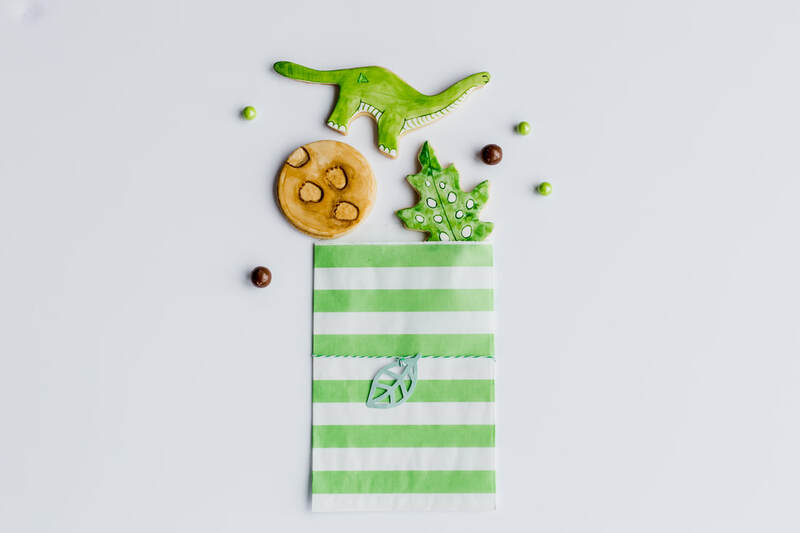 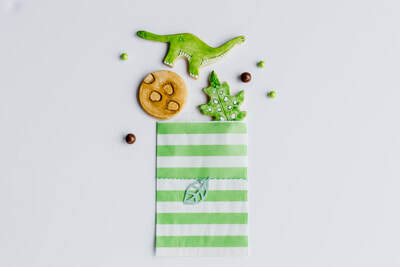 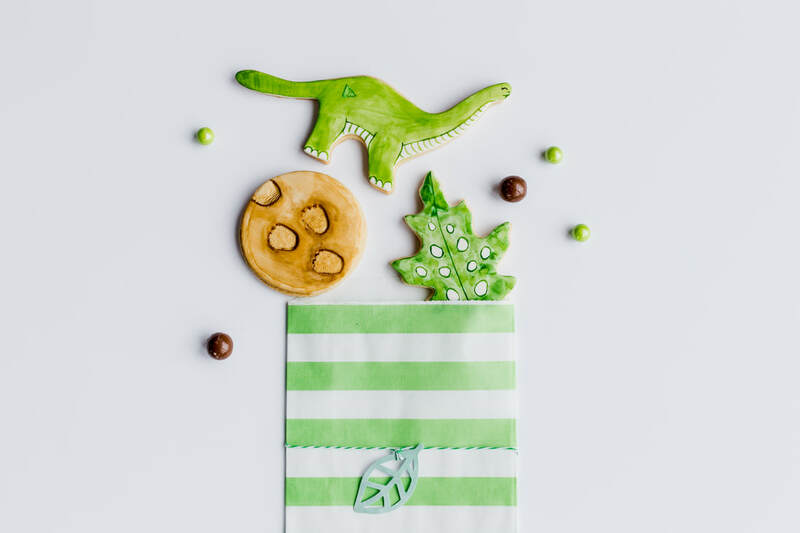 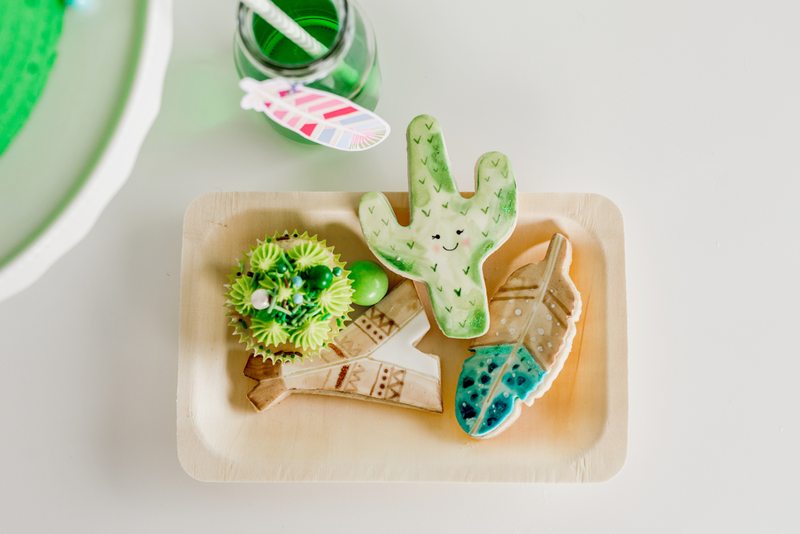 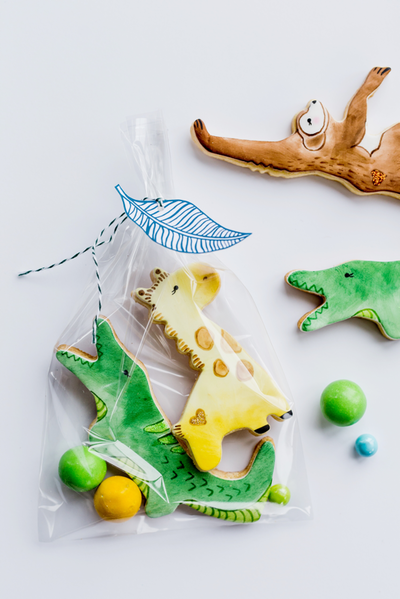 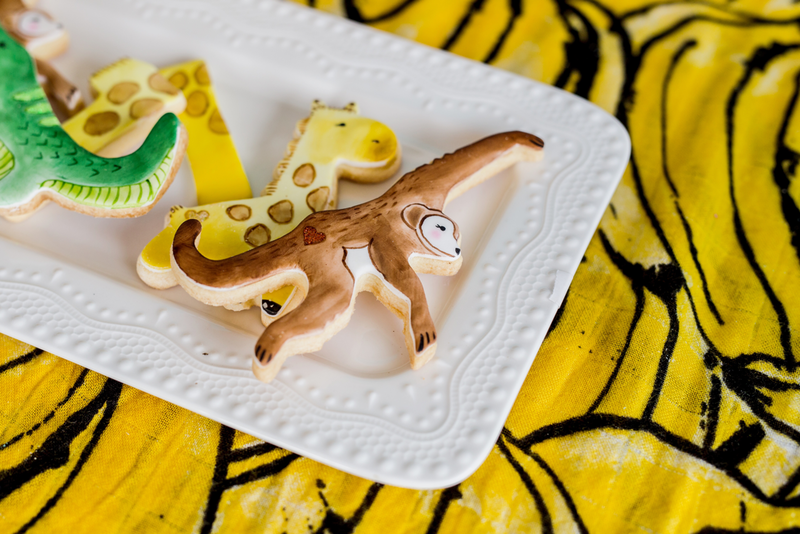 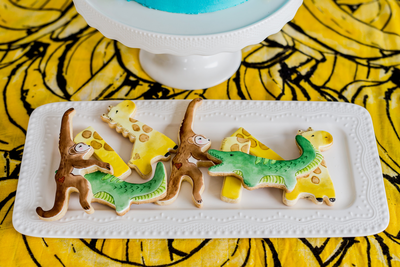 Hand-painted sugar cookies from lucious leaves to a bright green brontosaurus, and cool footprints in the mud. 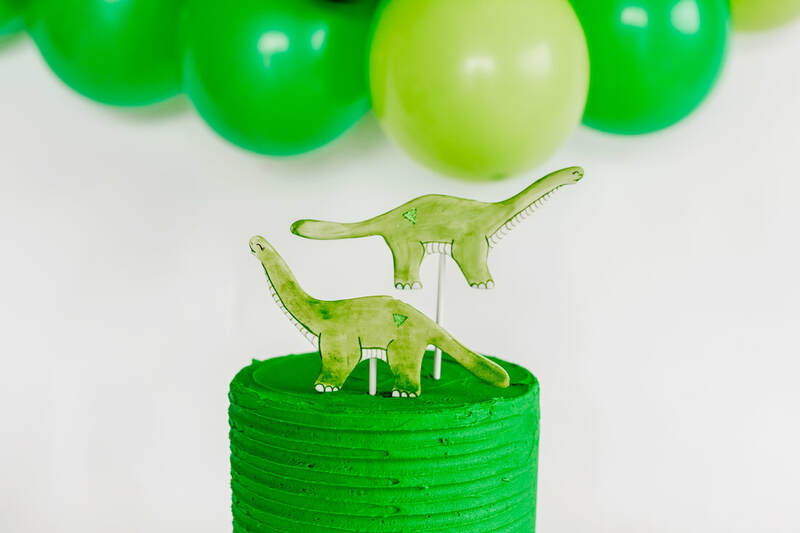 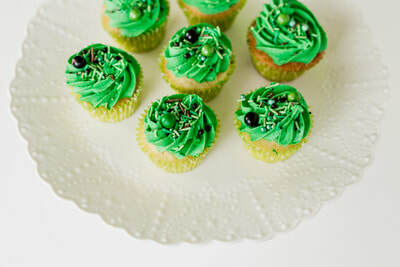 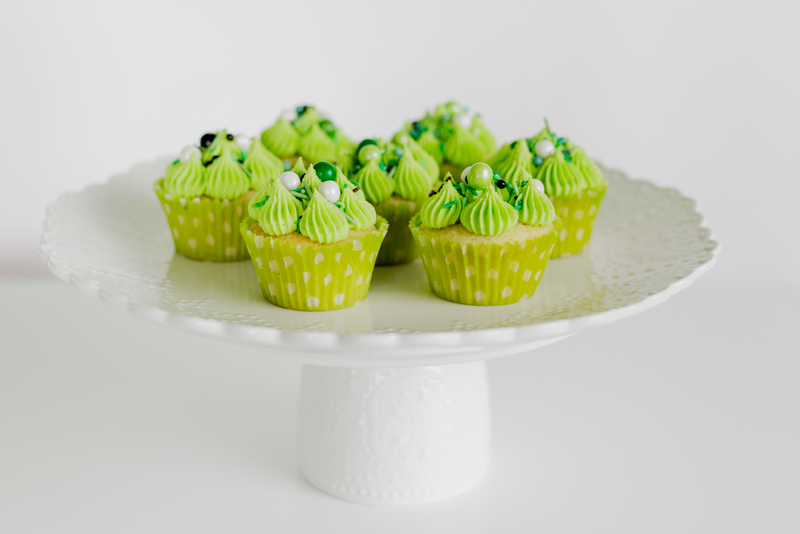 Cupcakes are piped with a forest green buttercream and topped with dinosaur coloured sprinkles! Dinosaurs are a hot favourite with kids, I dont know what it is about Dinosaurs that makes kids imagination go wild but they sure do love them. 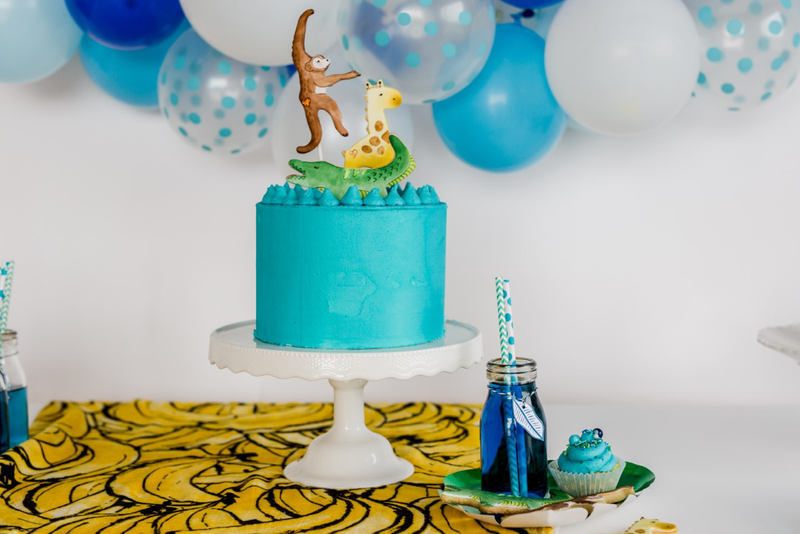 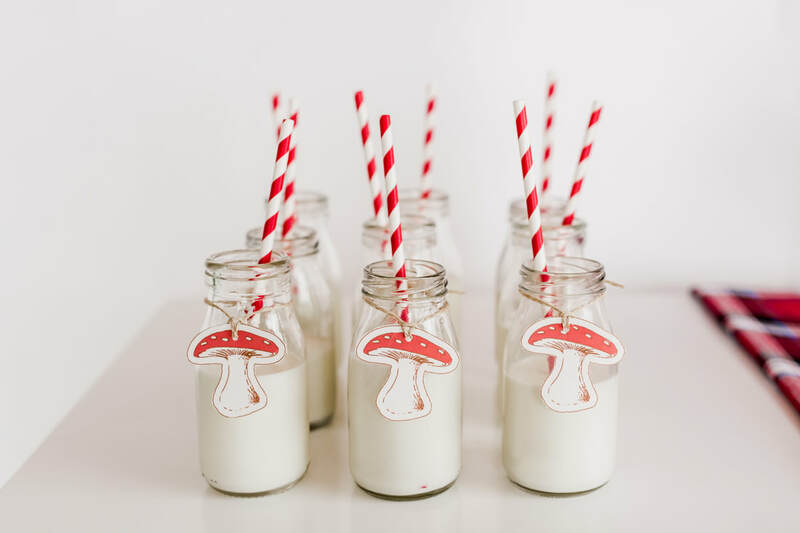 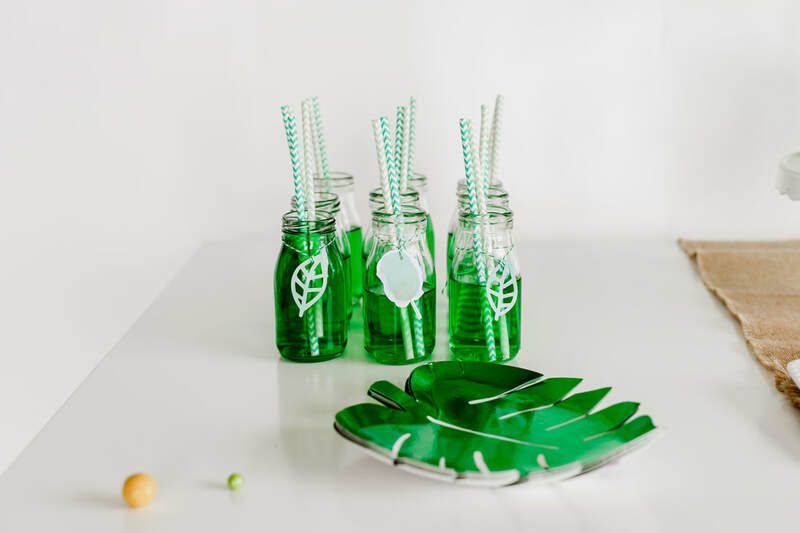 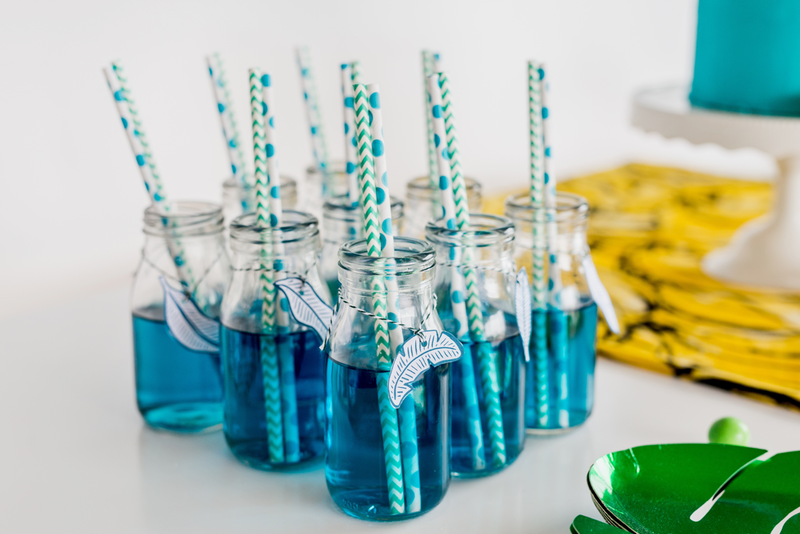 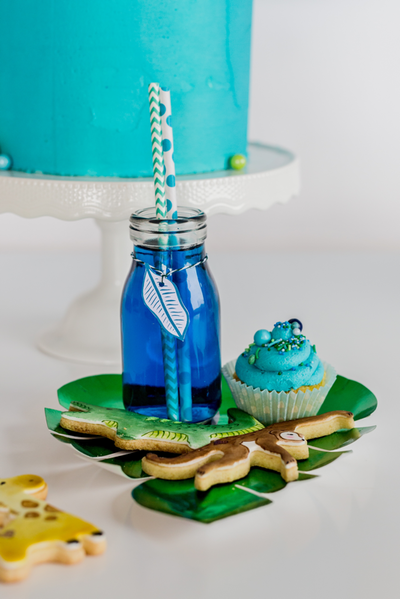 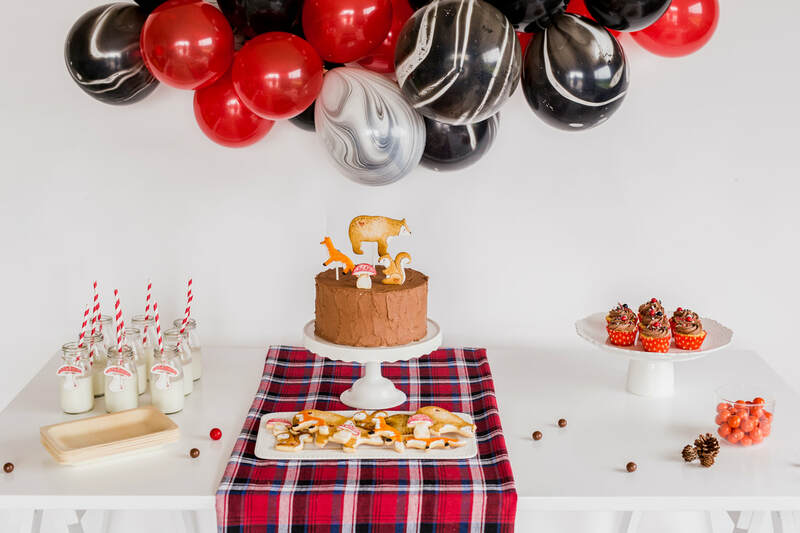 The woodland themed party package is perfect for boys and girls who loves a world filled with animals and all things nature. 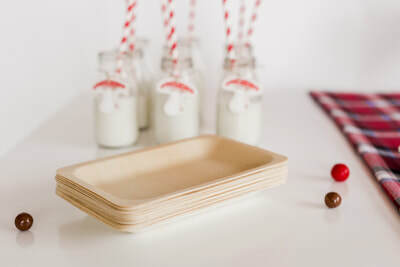 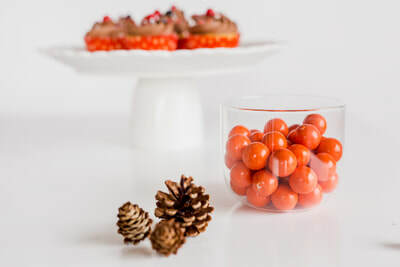 The Woodland package can fit many birthday/celebration themes, wilderness, enchanted forest, camping, bears, foxes, lumberjack just to name a few. 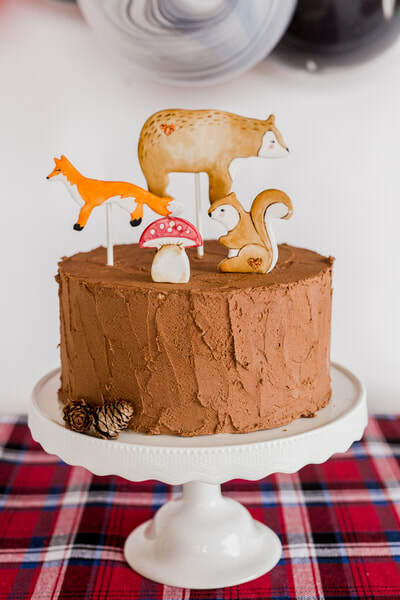 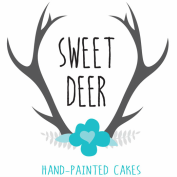 The woodland party package comes with a beautiful rustic chocolate buttercream cake, adorned with edible sugar paste hand painted cake toppers. 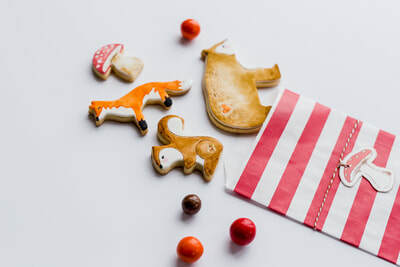 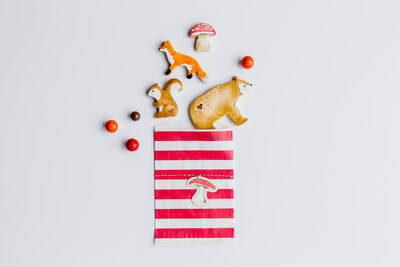 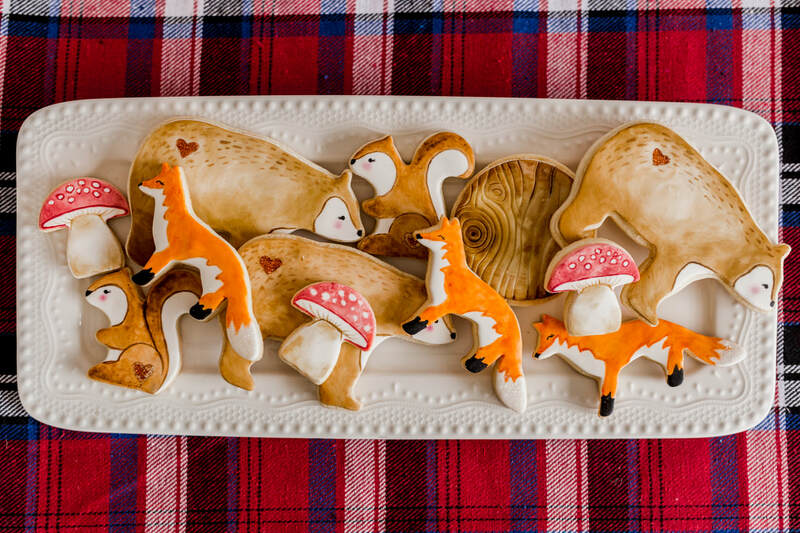 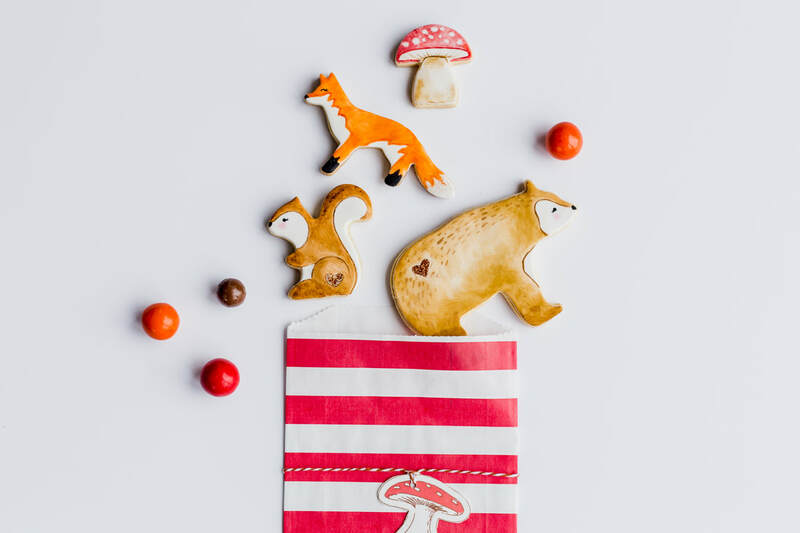 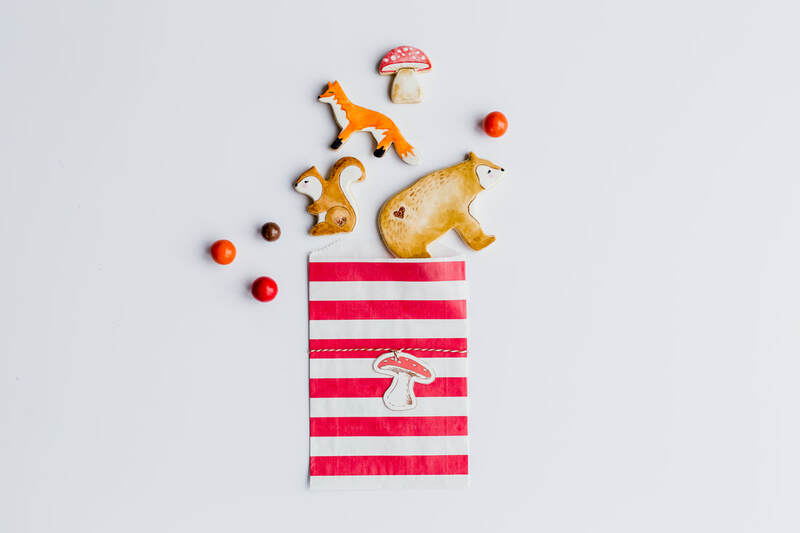 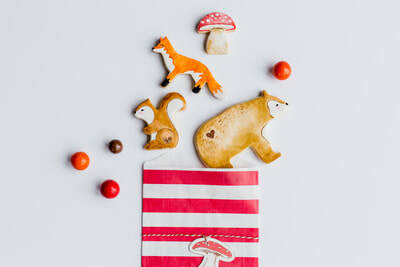 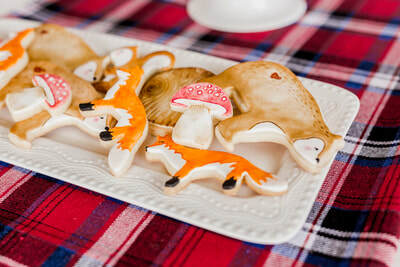 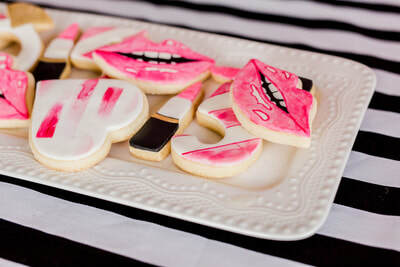 Hand-painted sugar cookies from beautiful big bears, bright orange foxes, and cute squirrels. 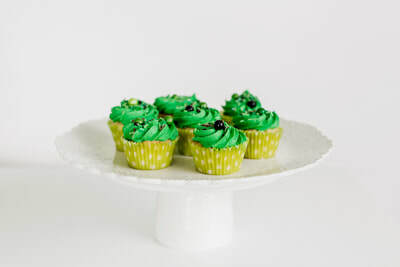 Cupcakes piped with buttercream and topped with plaid coloured sprinkles! 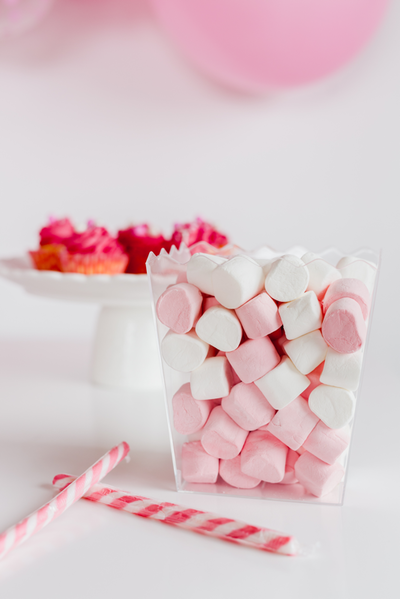 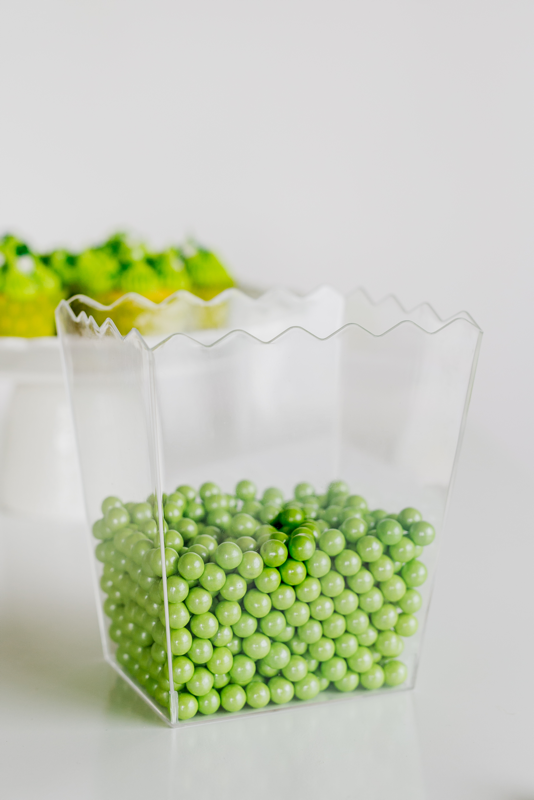 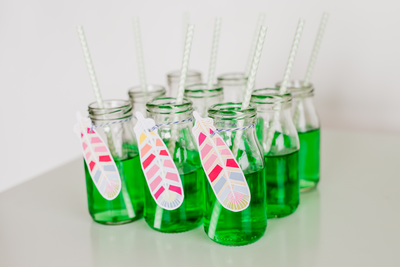 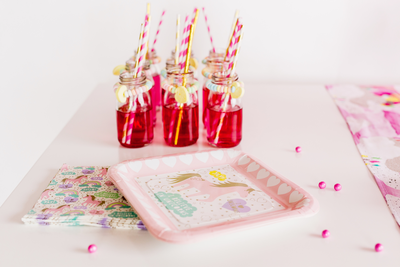 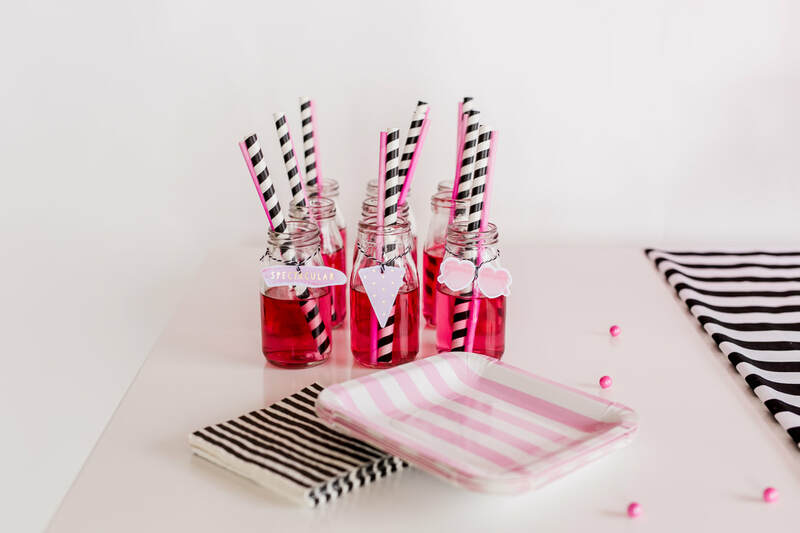 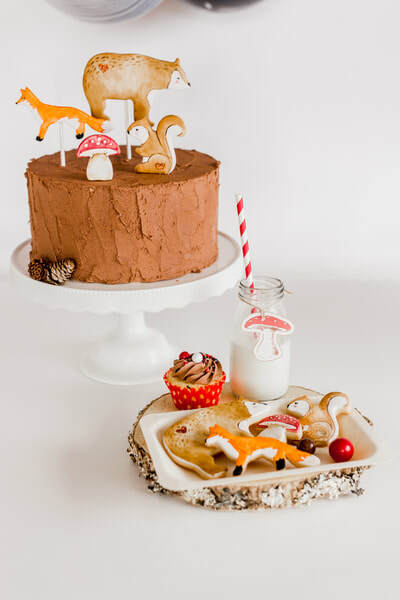 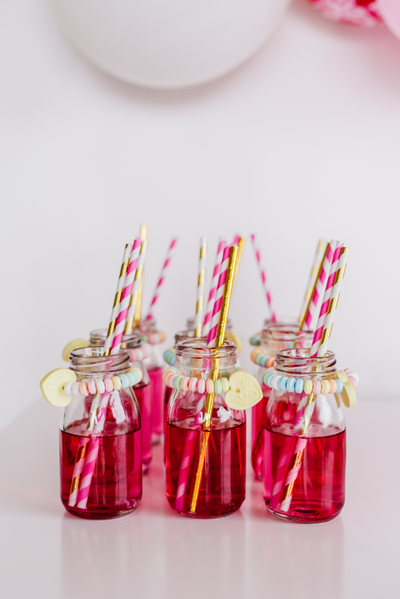 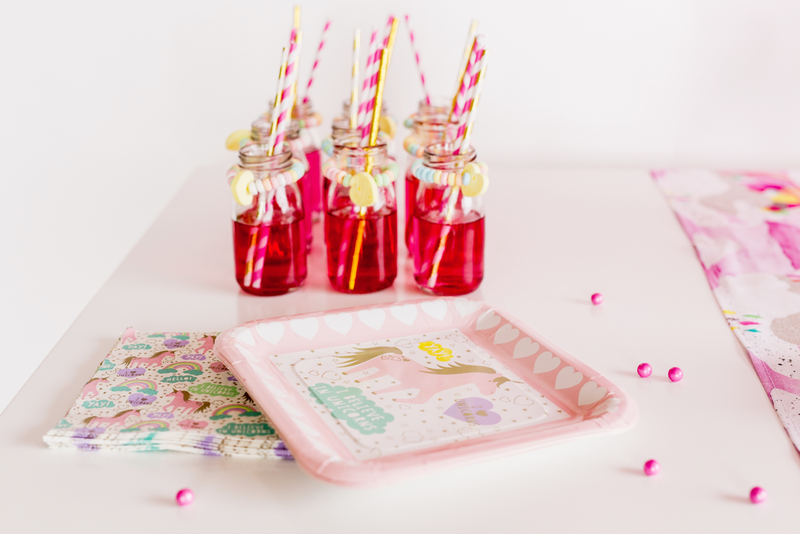 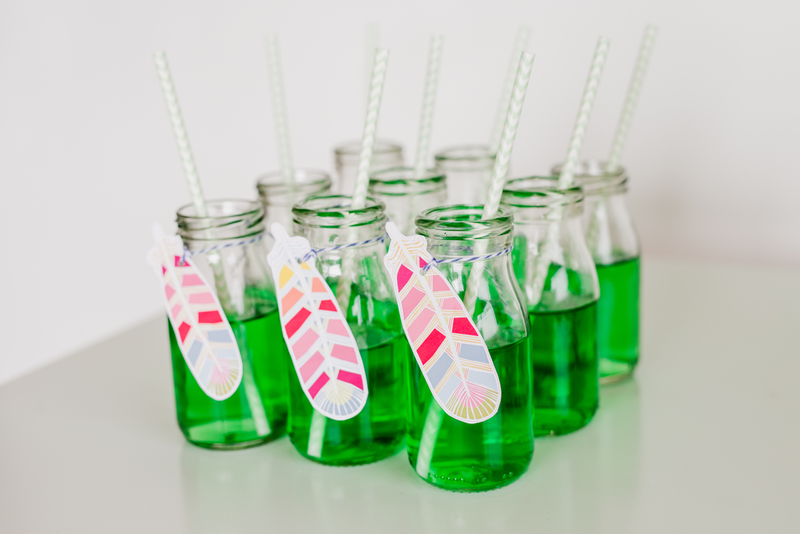 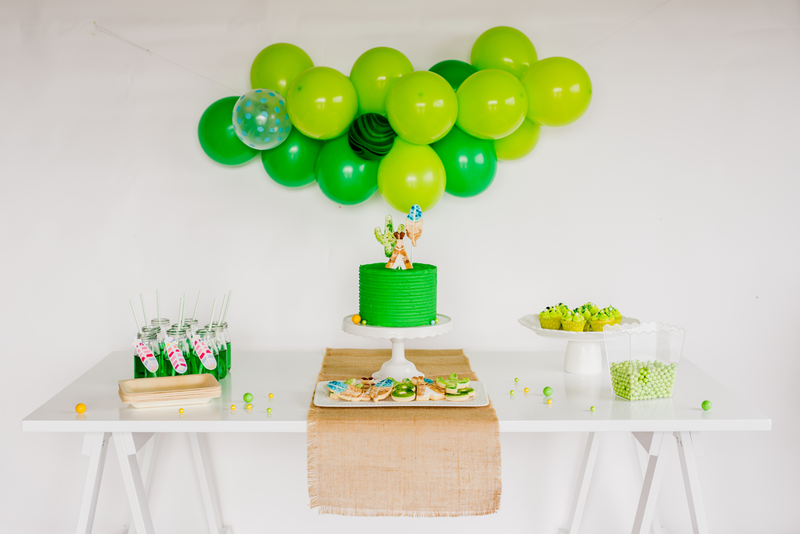 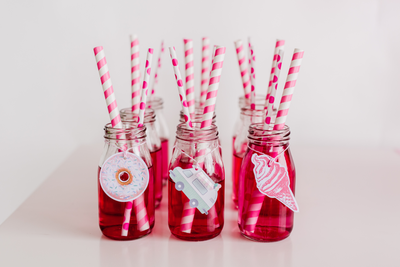 This cute woodland party is filled with lovely ideas for animal loving kids of all ages. 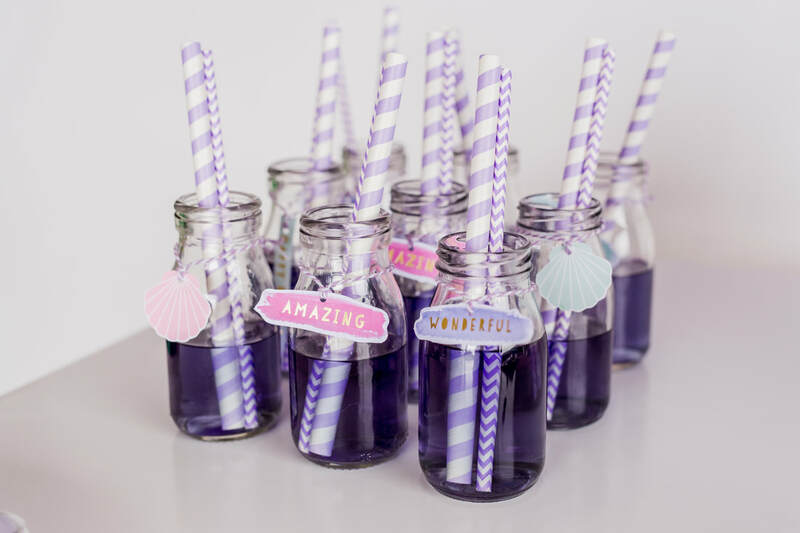 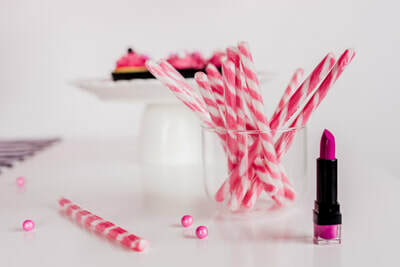 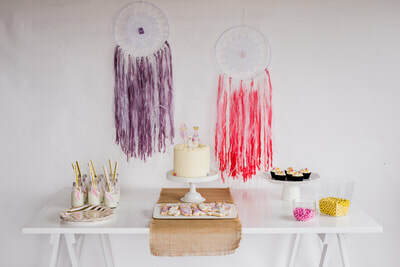 The Boho Party Package is perfect for all those wild flower boys and girls who love to dream and wear flower's in their hair. 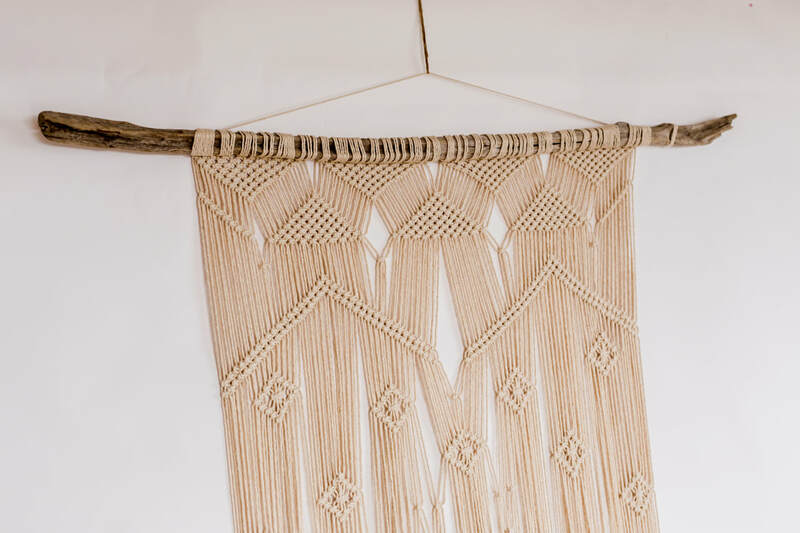 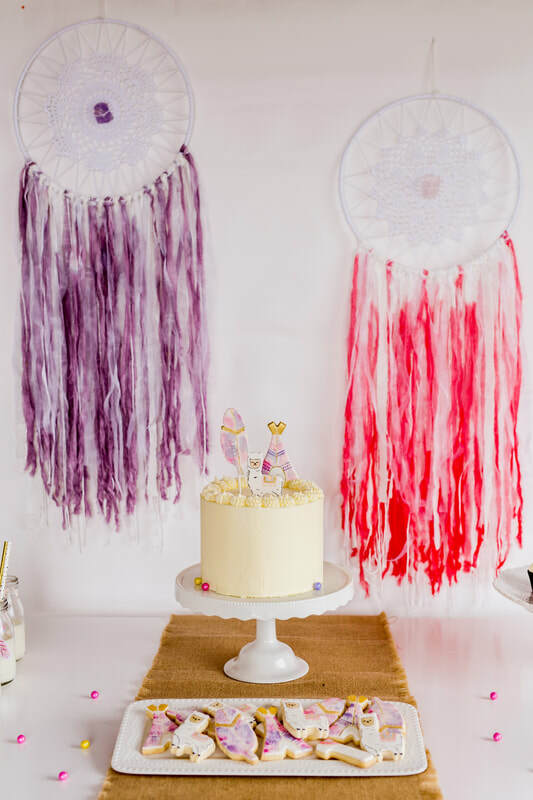 The Boho Party Package can fit many birthday/celebration themes Flower, Bohemian, pochahontas, Coachella, Llama Love just to name a few. 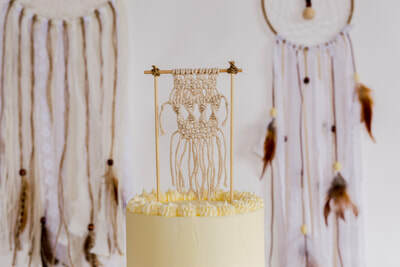 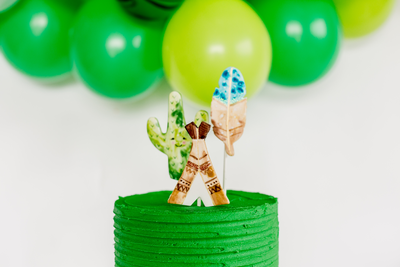 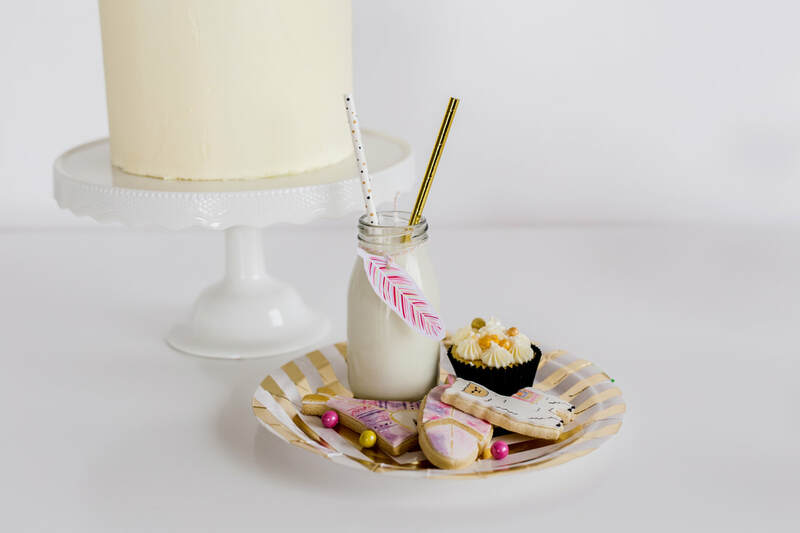 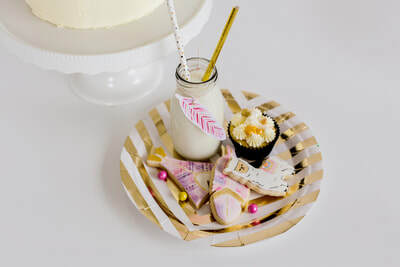 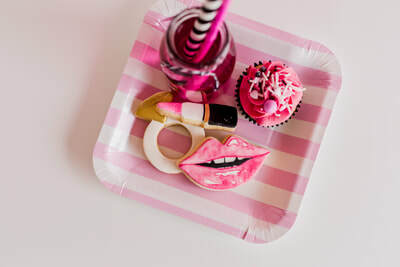 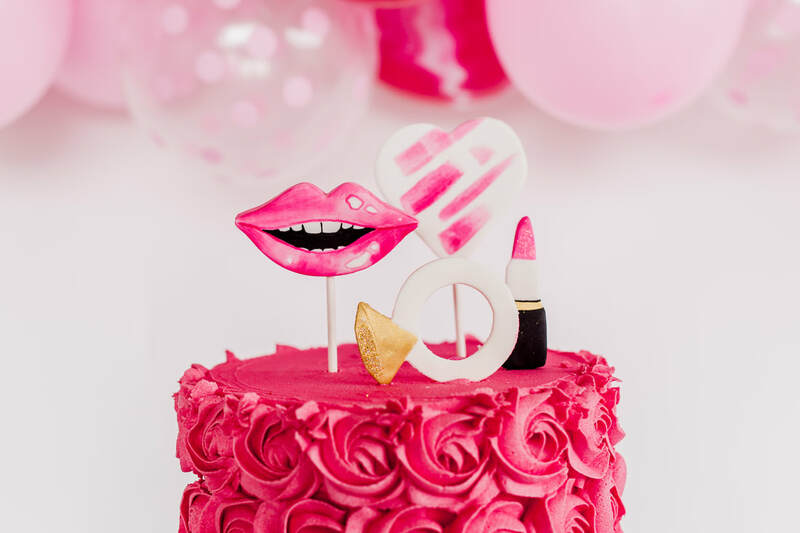 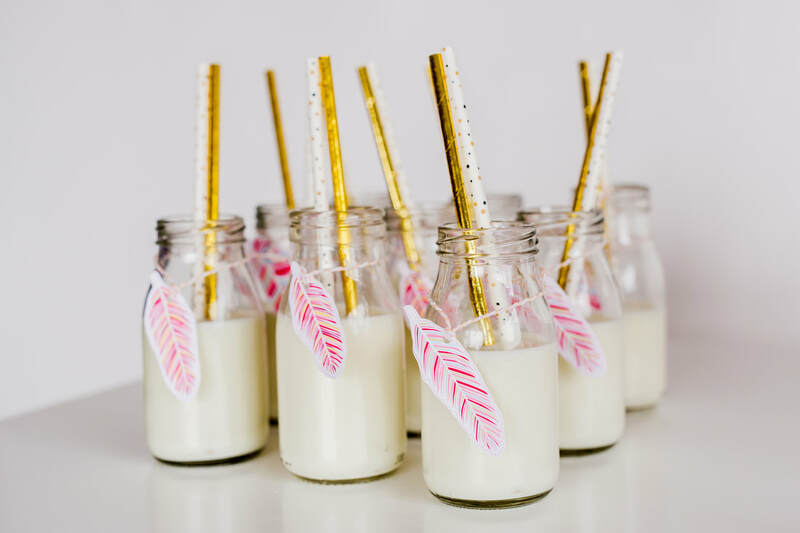 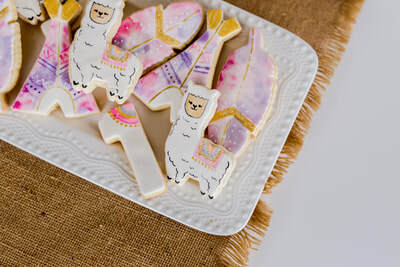 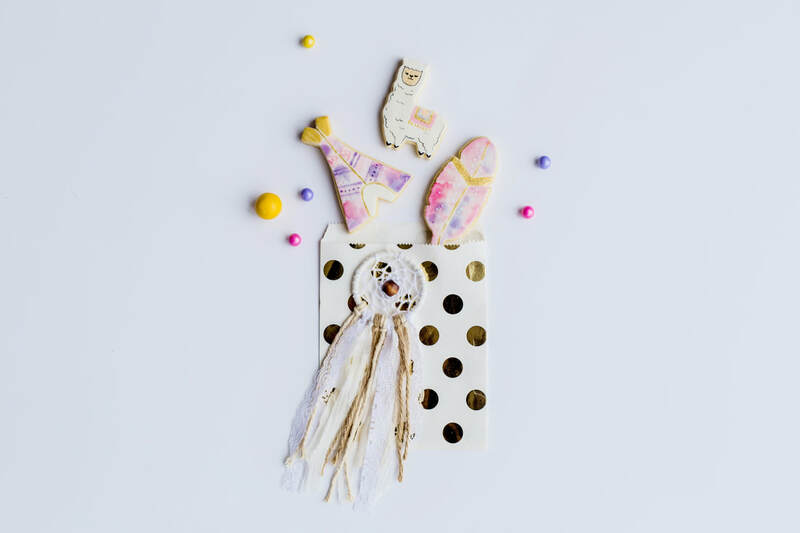 The Boho Party Package comes with a beautiful smooth ivory covered buttercream cake, adorned with an edible Tee pee, Feather and Llama hand painted cake toppers, made out of sugar paste. 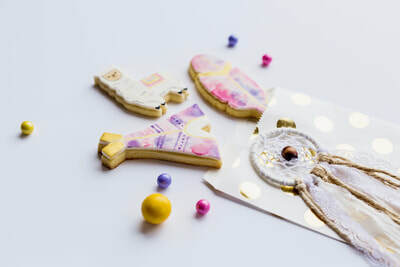 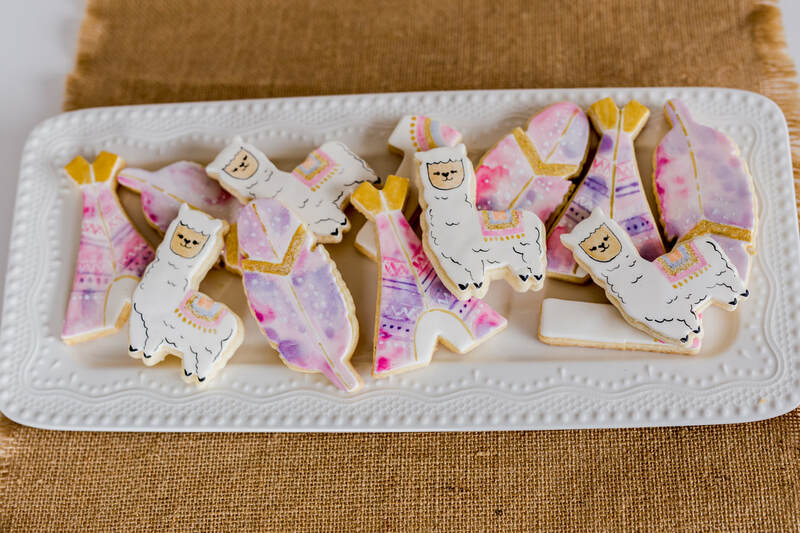 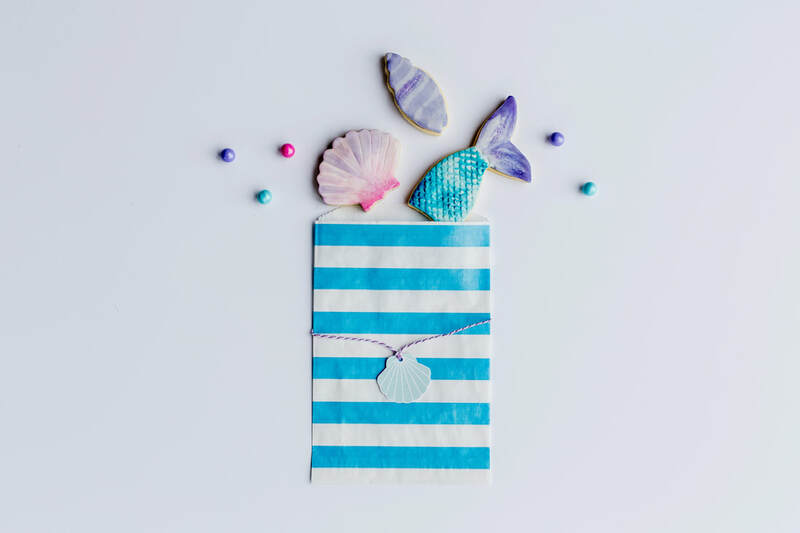 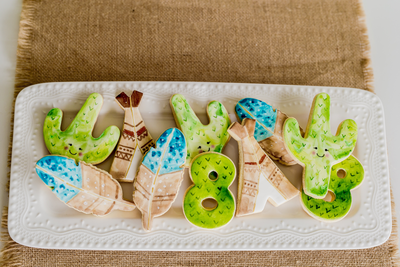 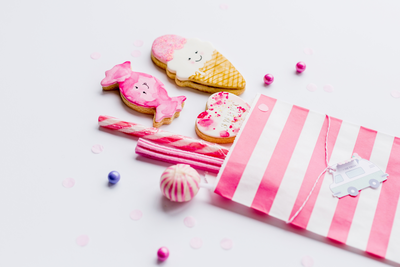 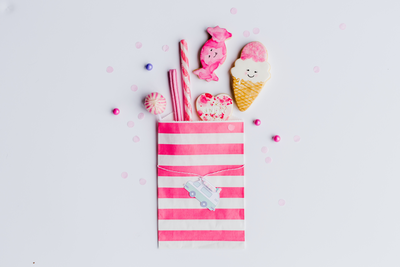 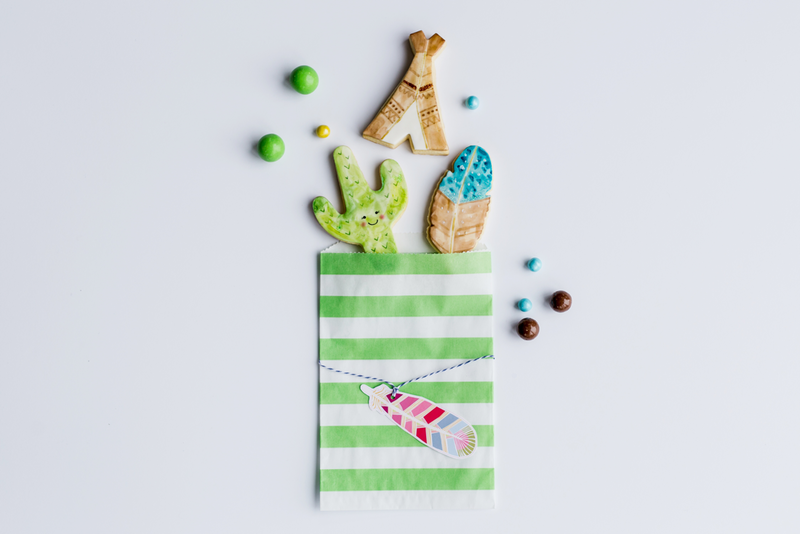 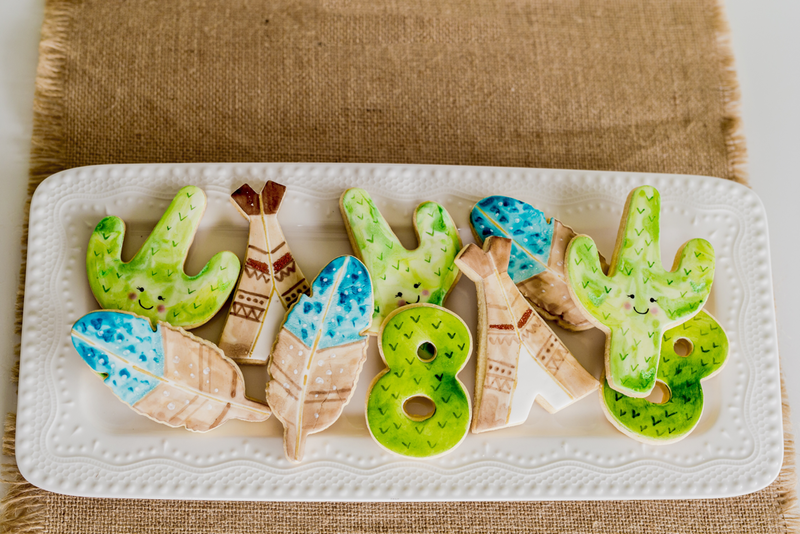 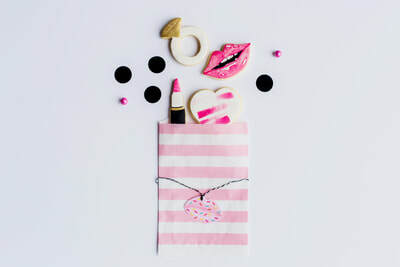 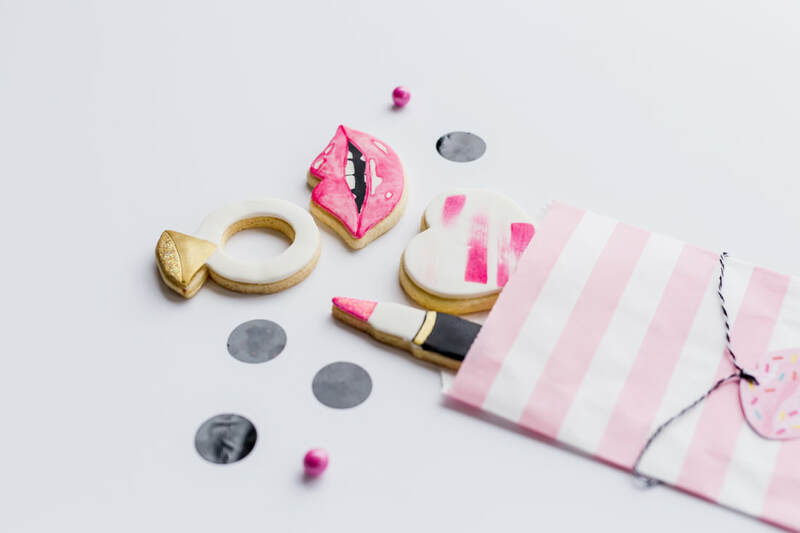 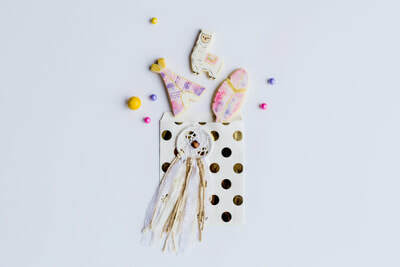 Hand-painted sugar cookies from gorgeous Llamas to ice-cream hued tee pees and dreamy feathers. 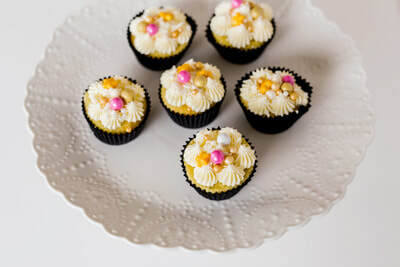 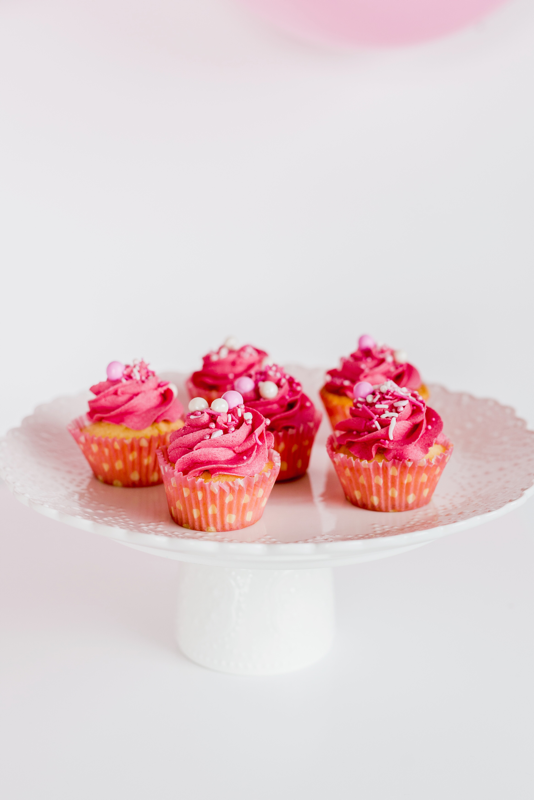 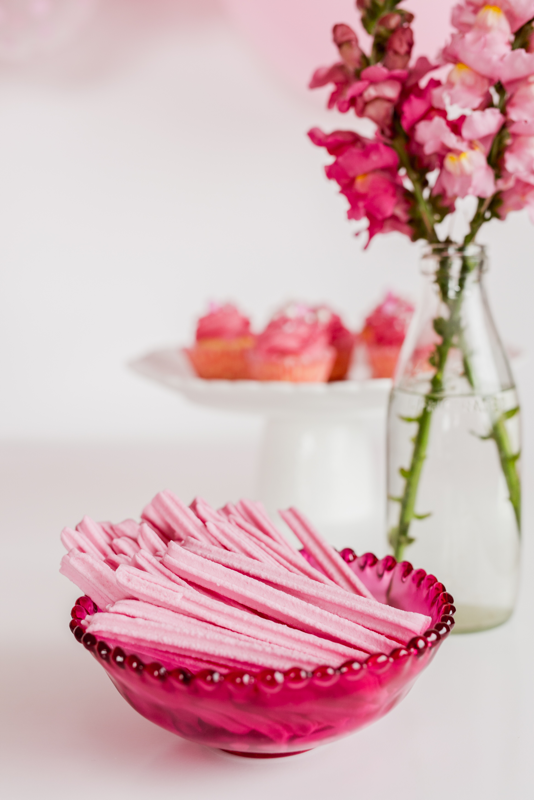 Cupcakes are piped with an ivory buttercream and topped with Boho coloured sprinkles! 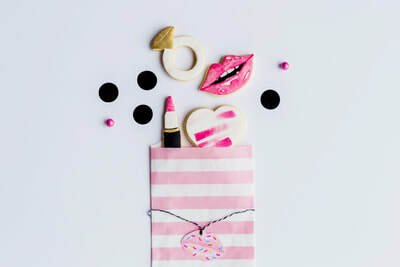 Wild Hearts can never be broken.